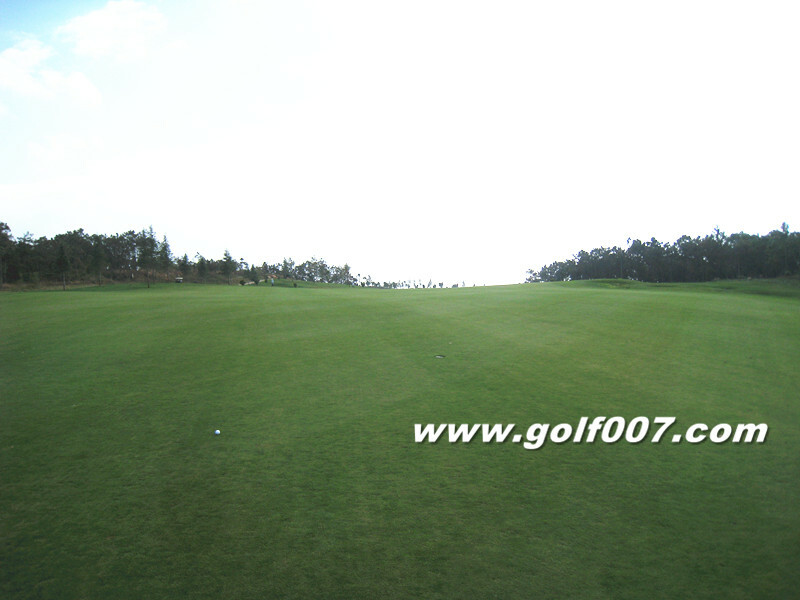 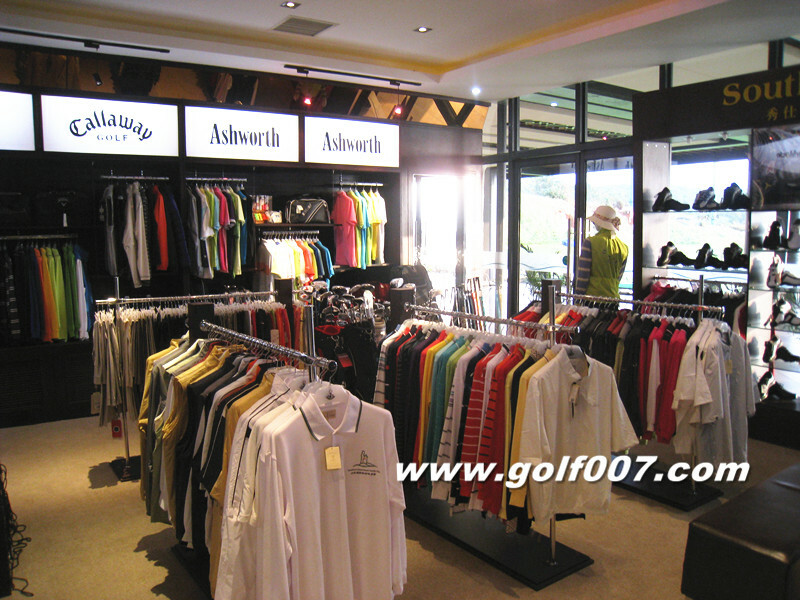 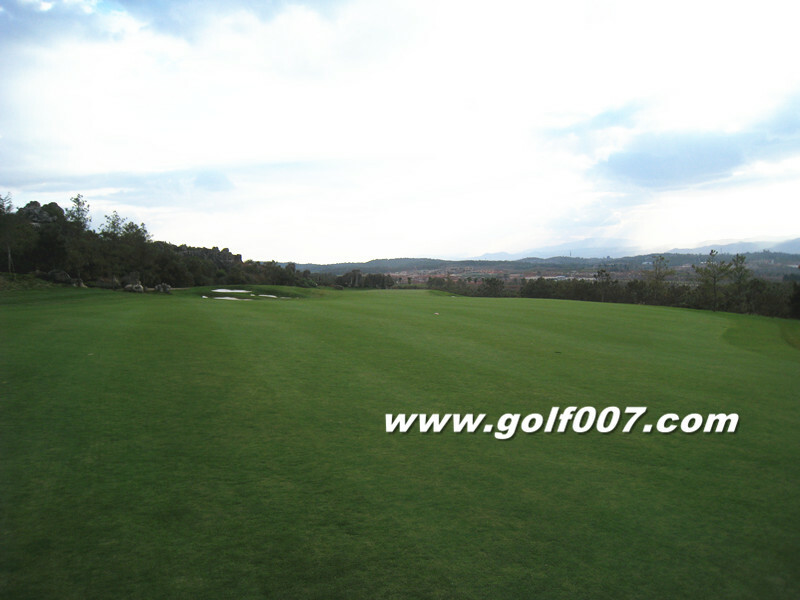 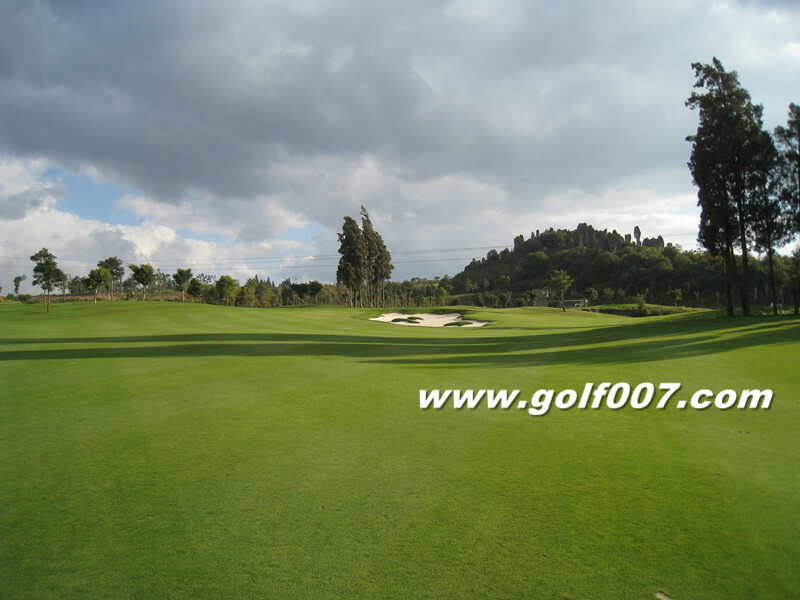 A reachable downhill short Par 4, if you are big hitter.Great chance to get a good opening. 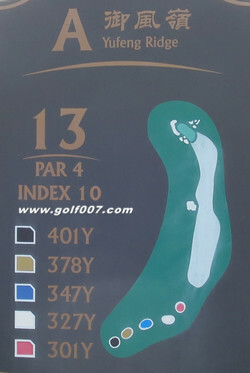 Downhill dogleg left Par 4, small green, not much room of error. 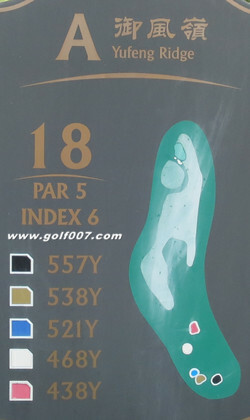 A beautiful hole. 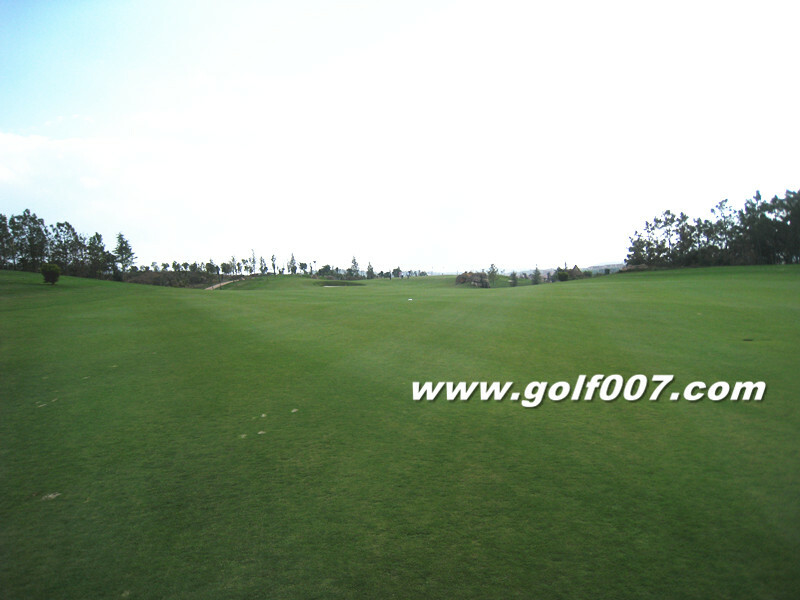 Downslope from the tee, and elevated green. 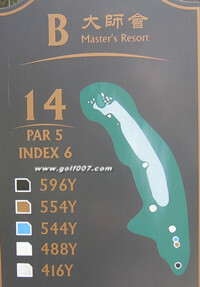 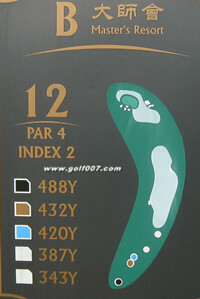 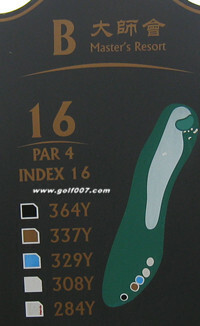 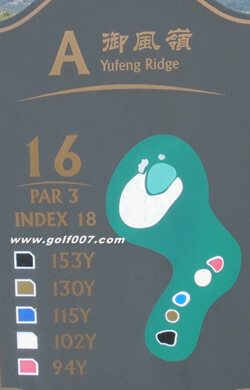 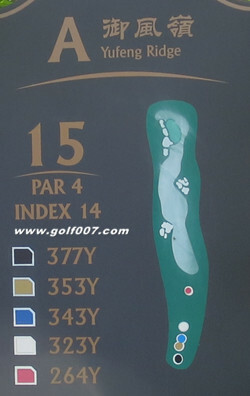 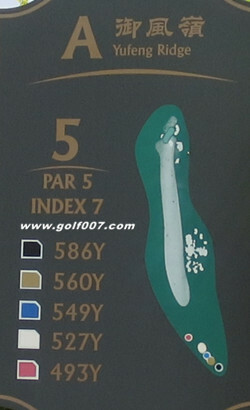 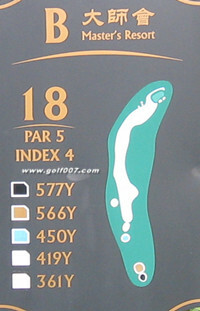 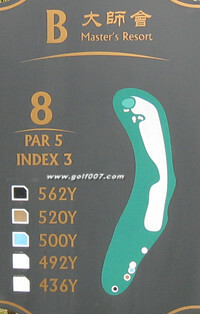 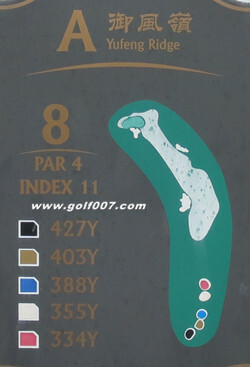 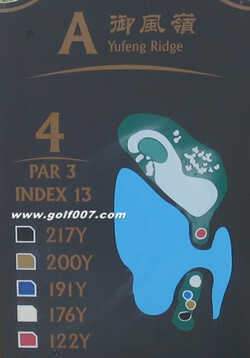 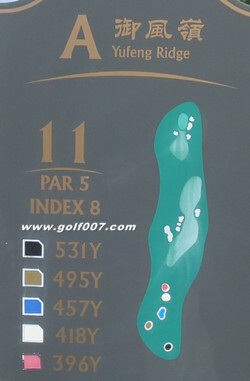 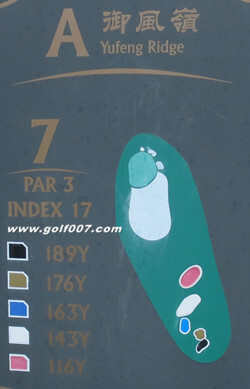 A generous dogleg right Par 5. 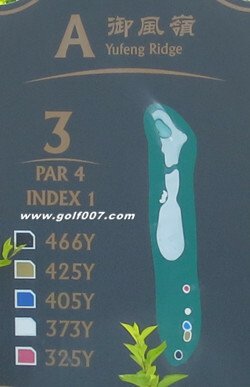 Beach on left and OB on right . 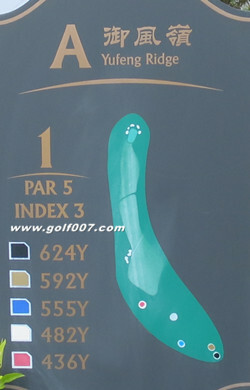 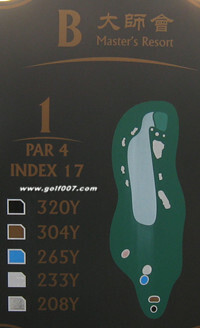 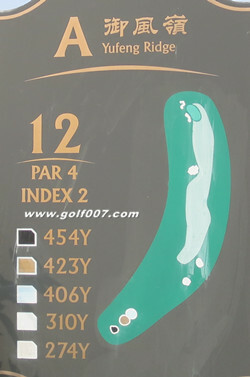 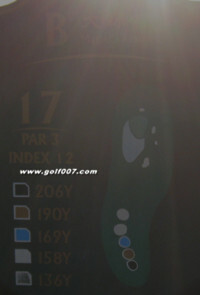 Upslope Par 4, play longer than it actual distance. .
Downslope mid range Par 3. 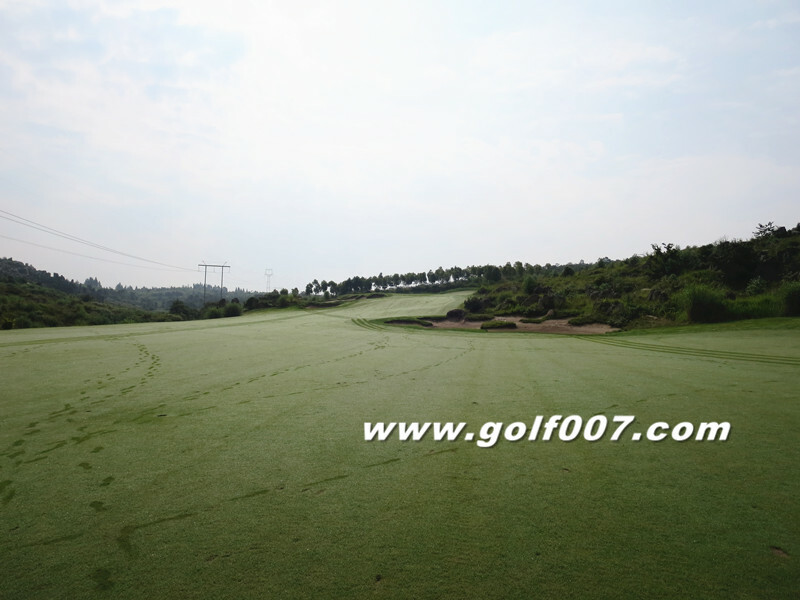 Short dogleg left Par 4. 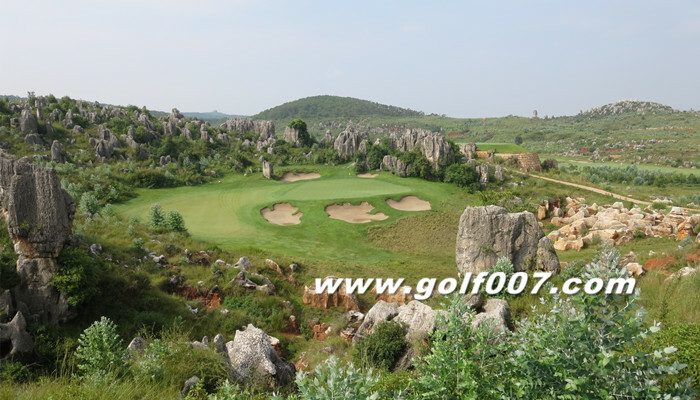 Signature Stone Forest scenery background, nice! . 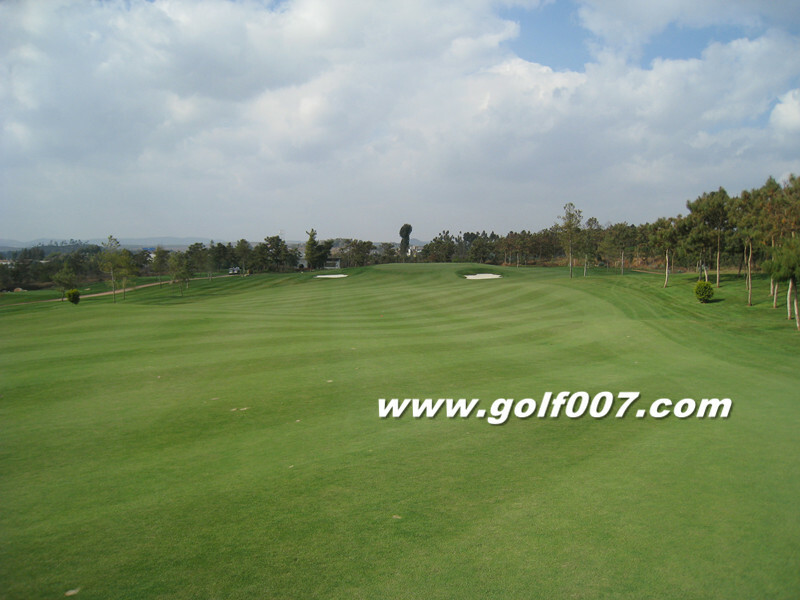 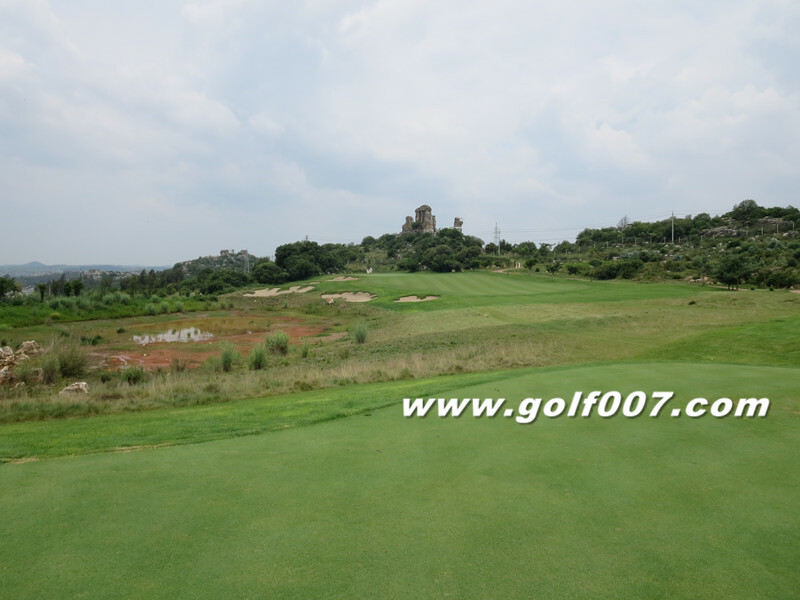 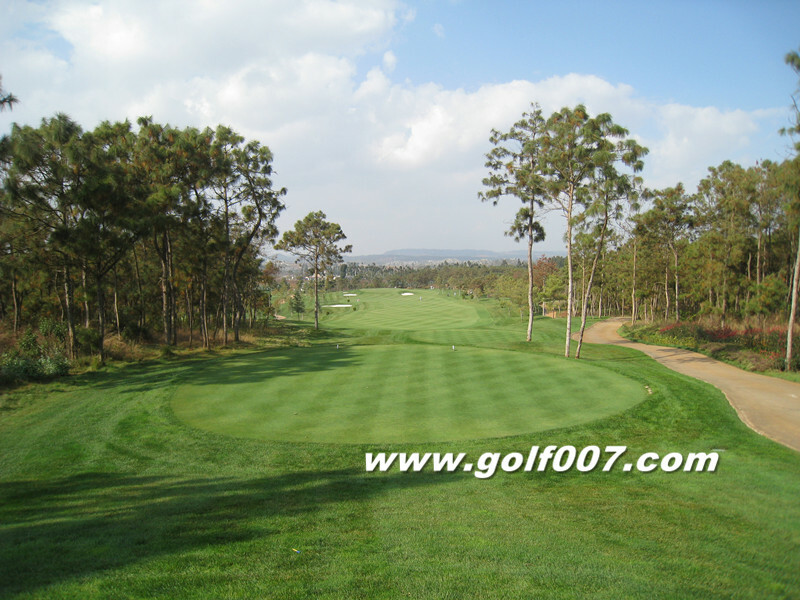 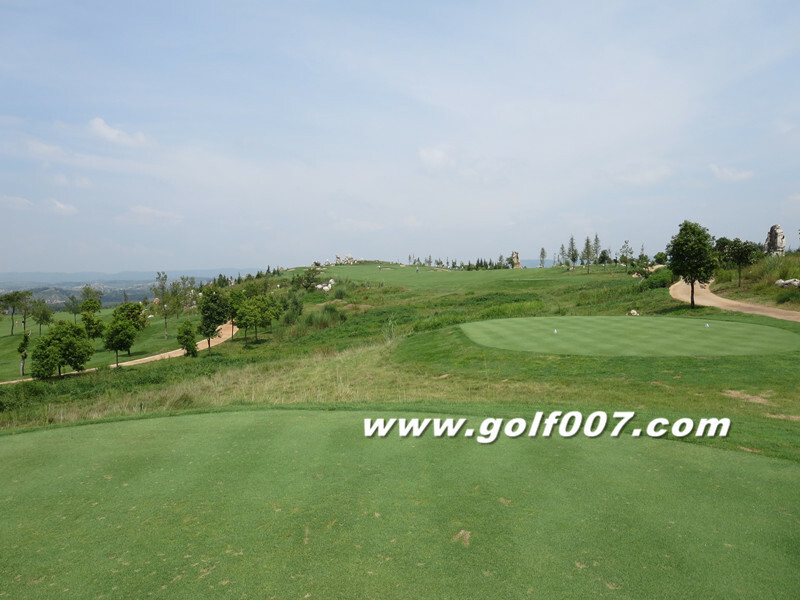 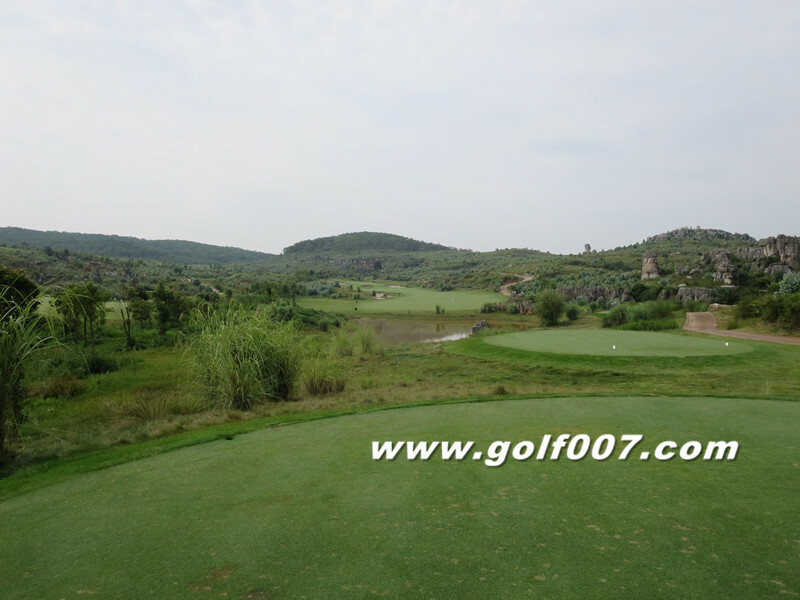 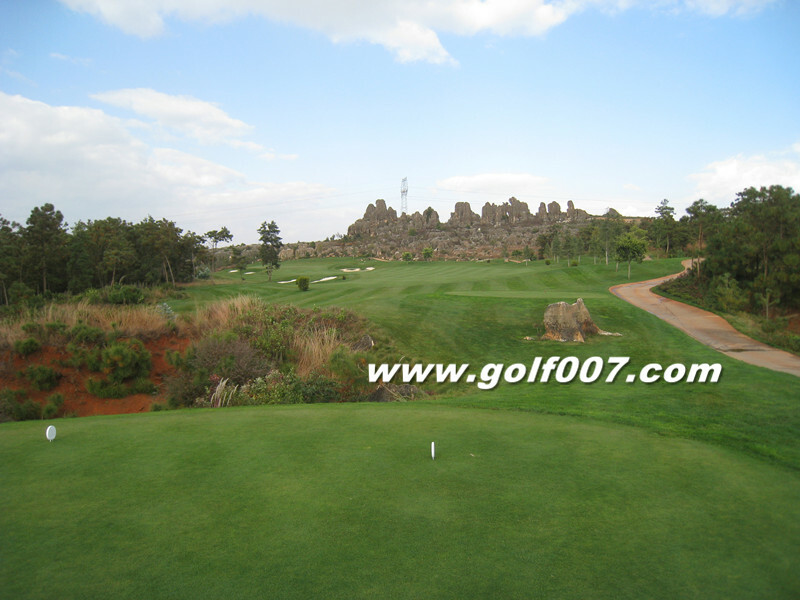 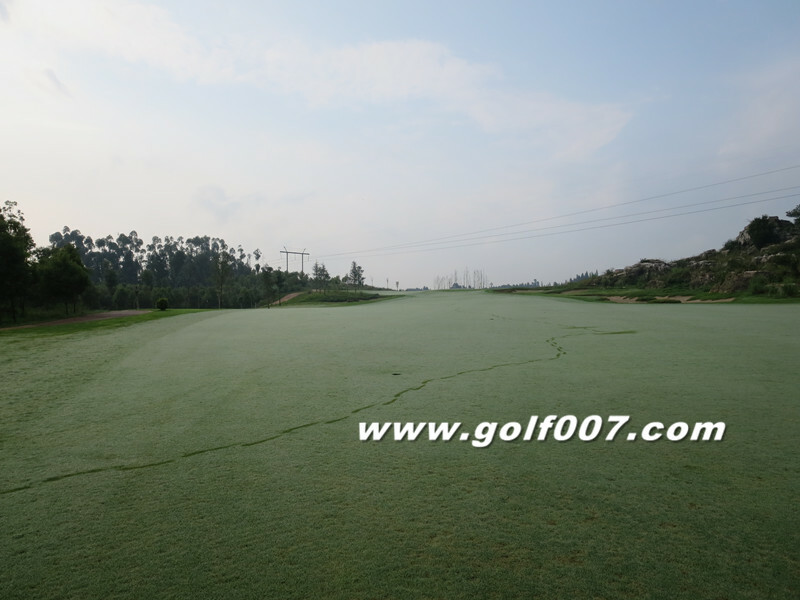 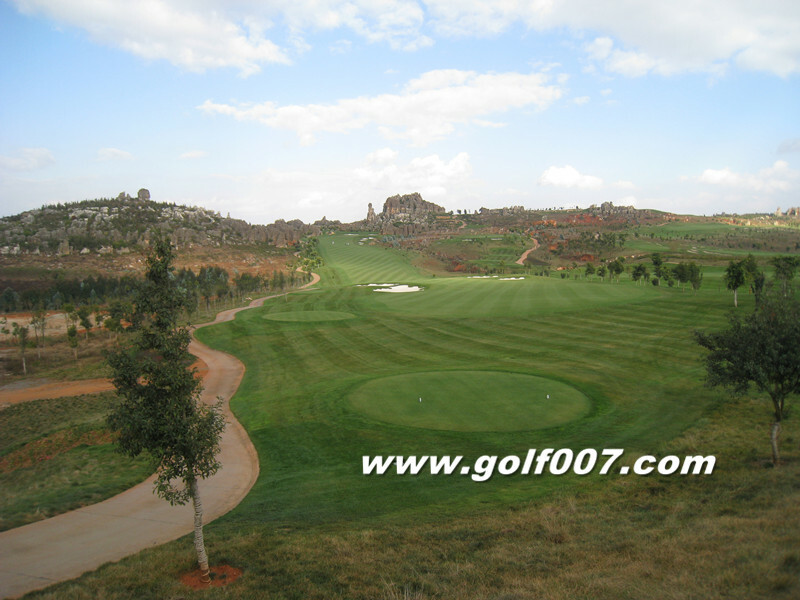 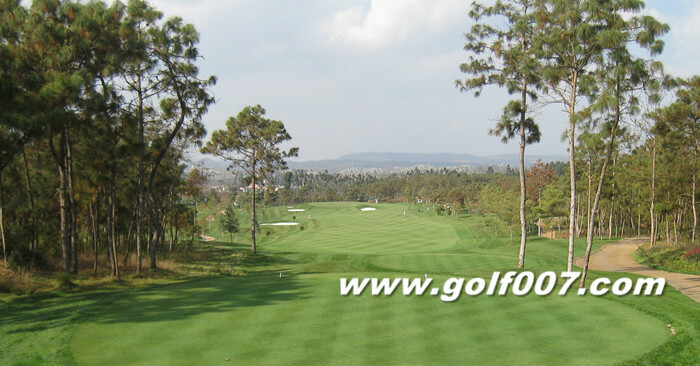 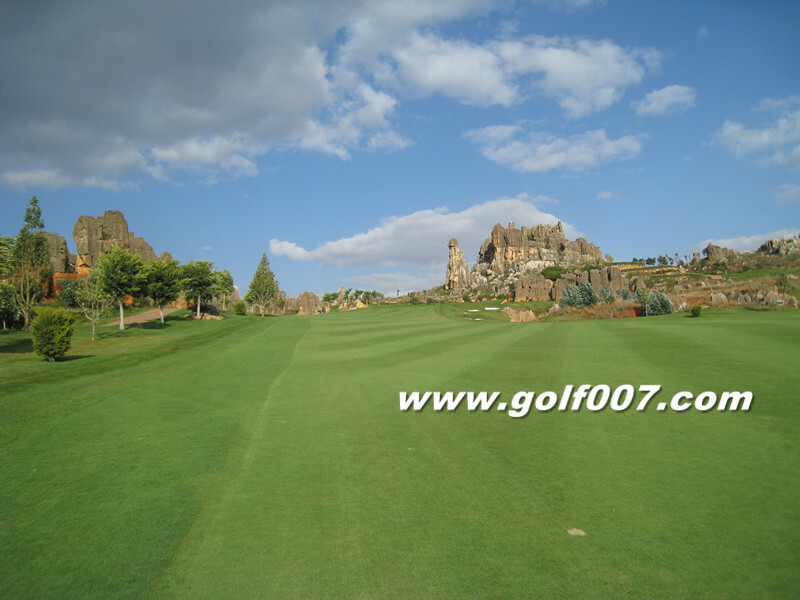 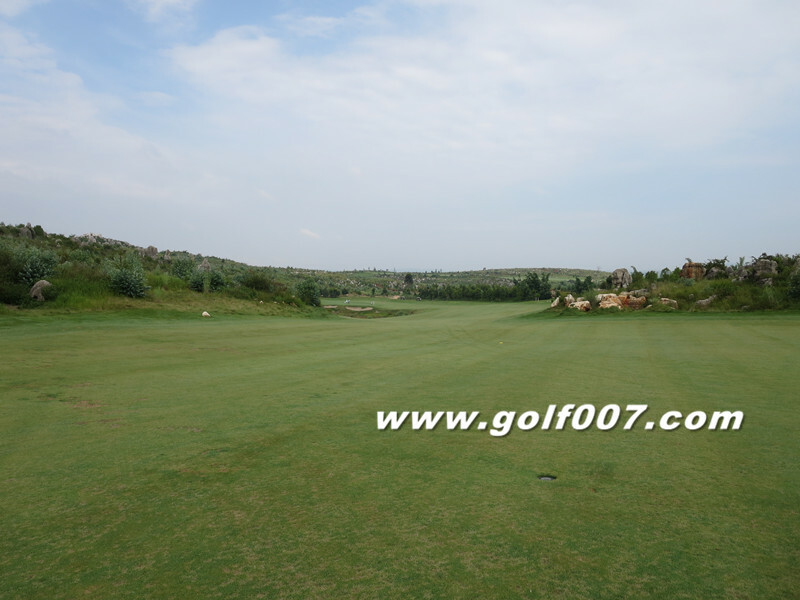 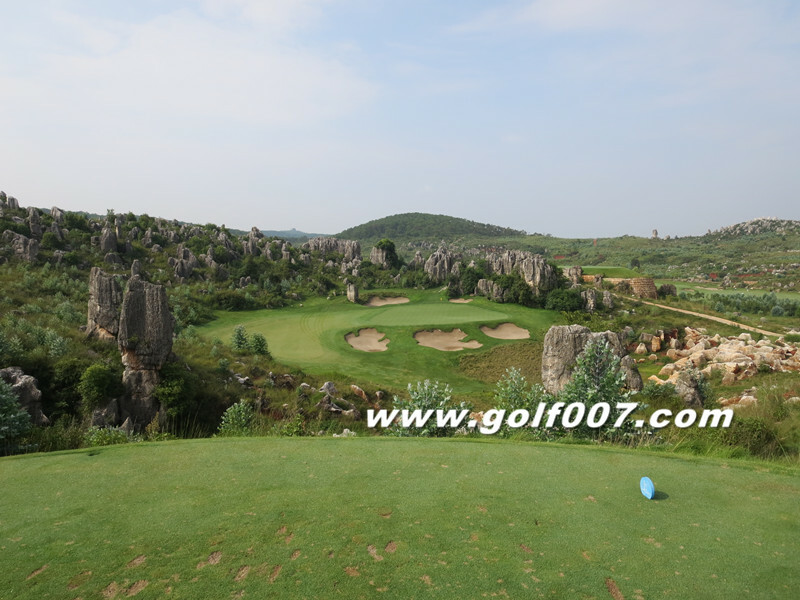 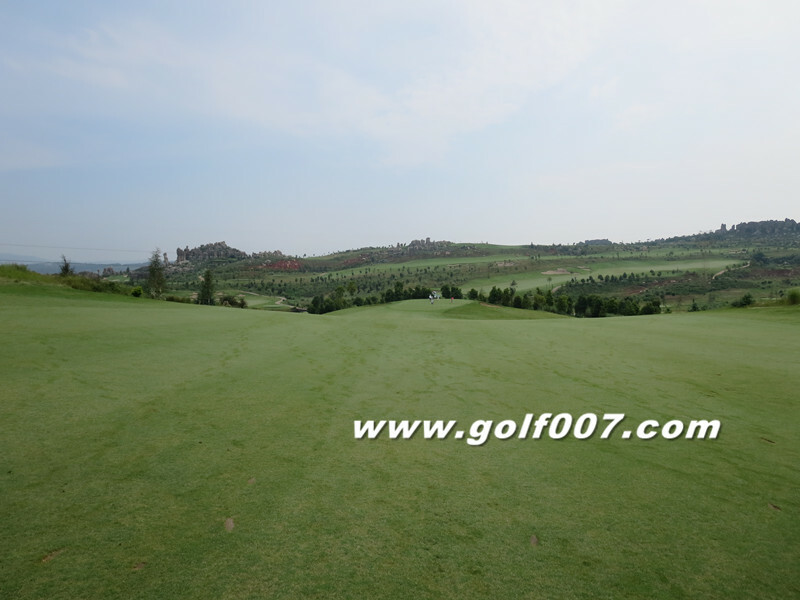 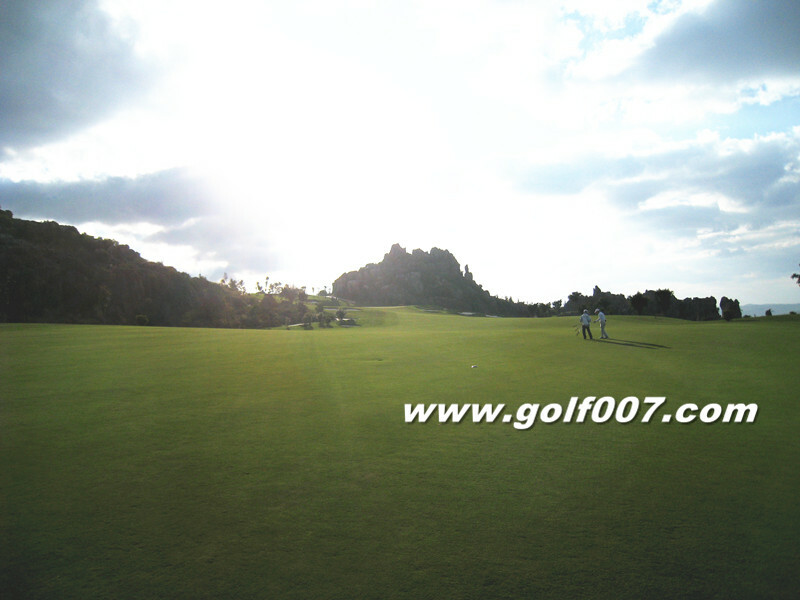 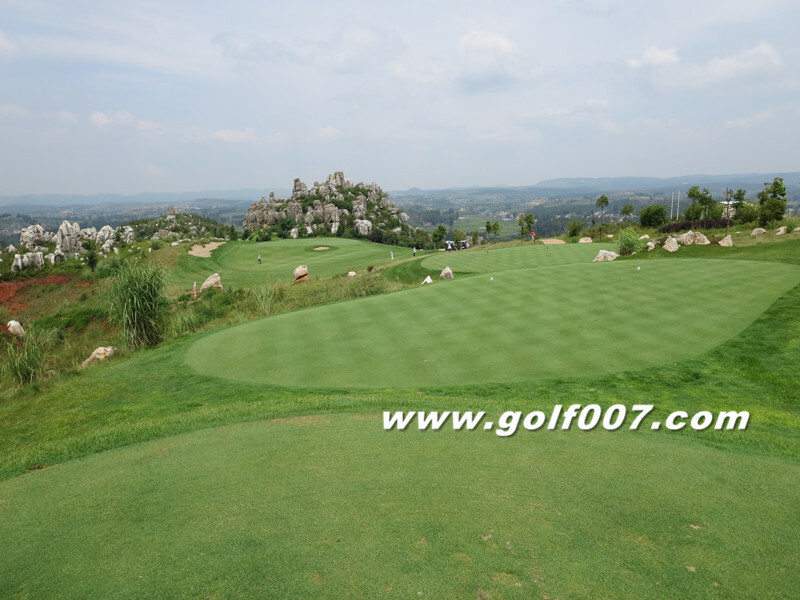 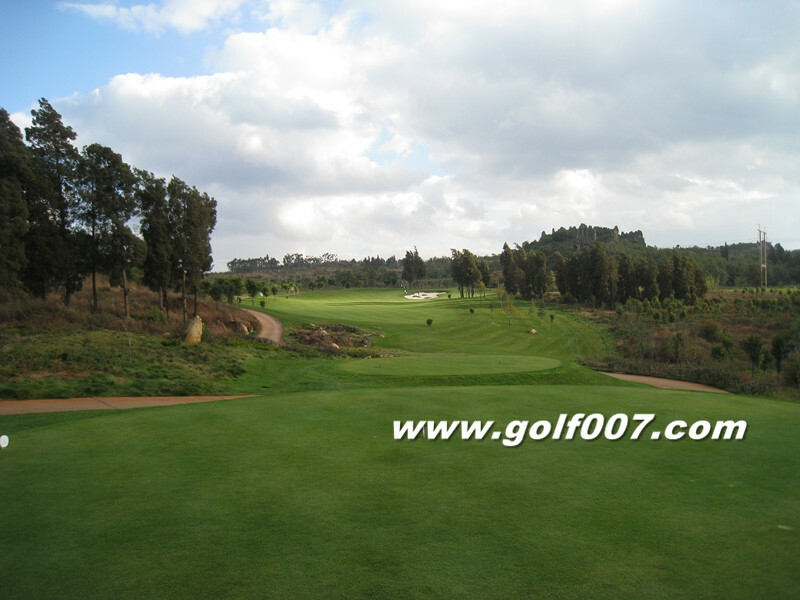 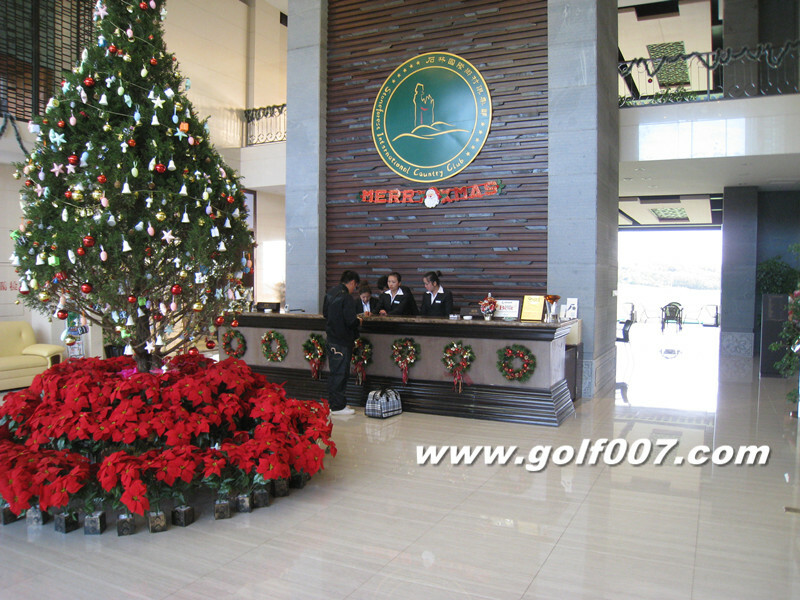 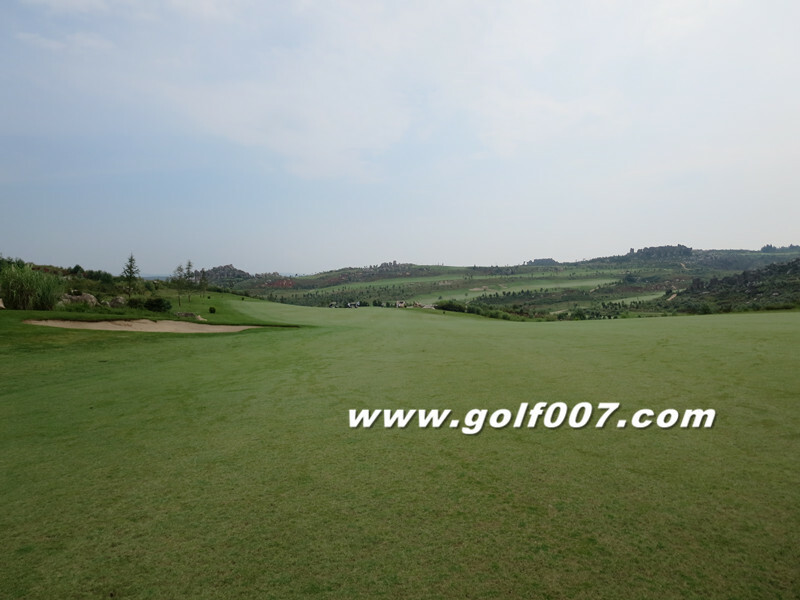 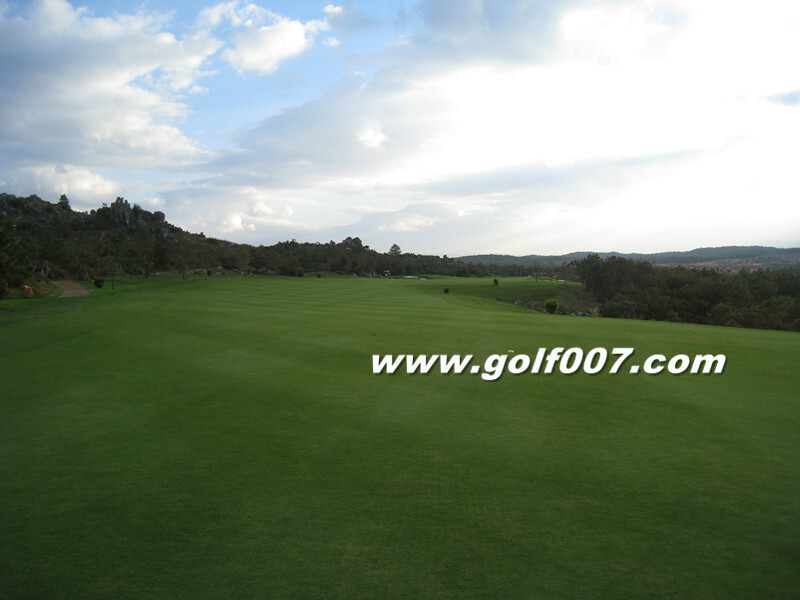 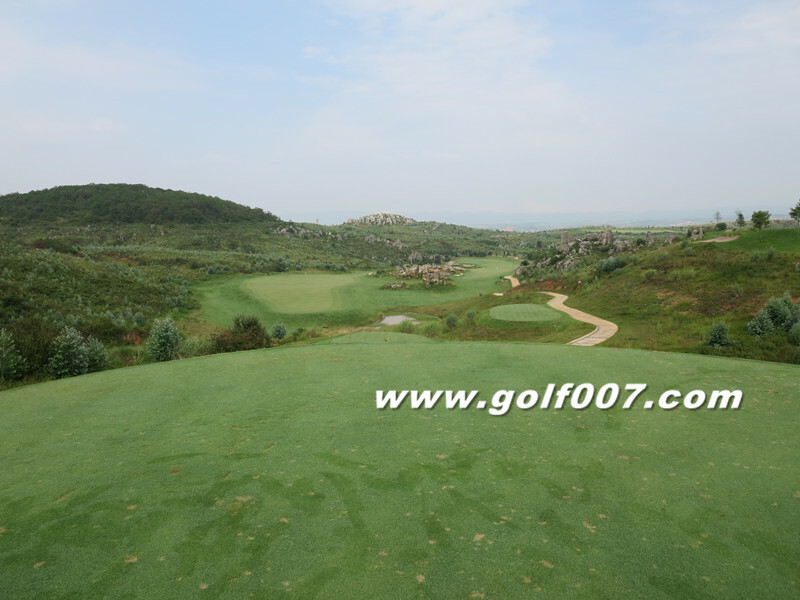 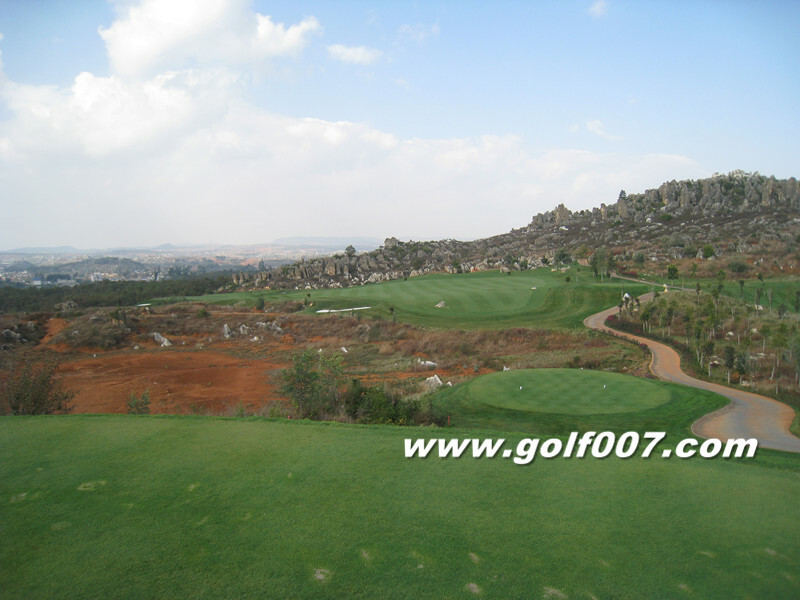 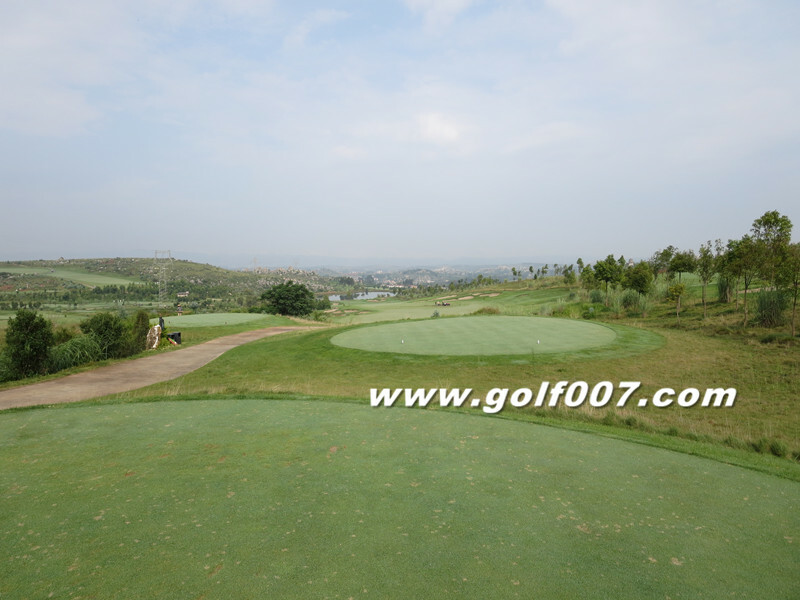 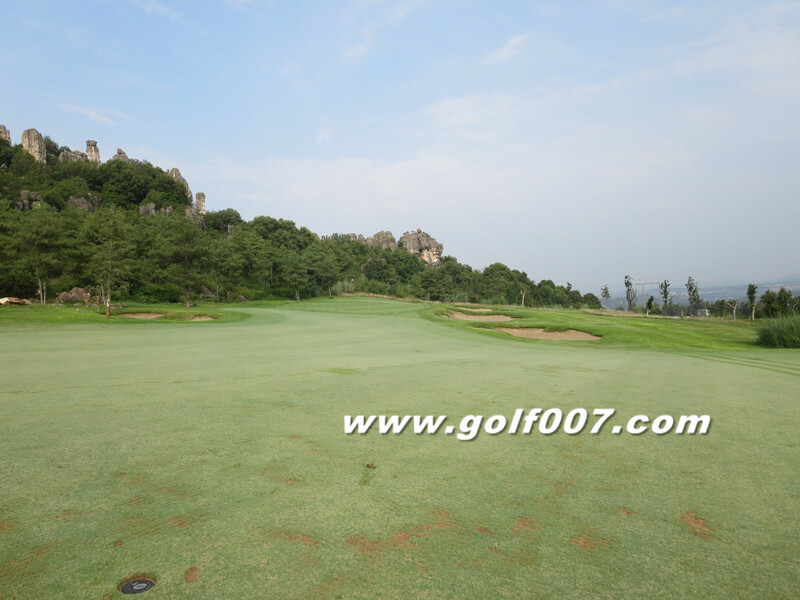 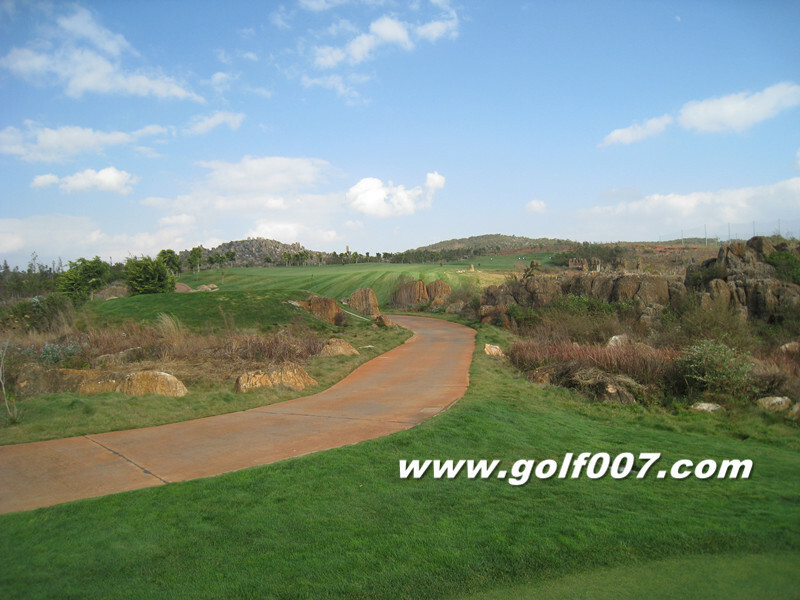 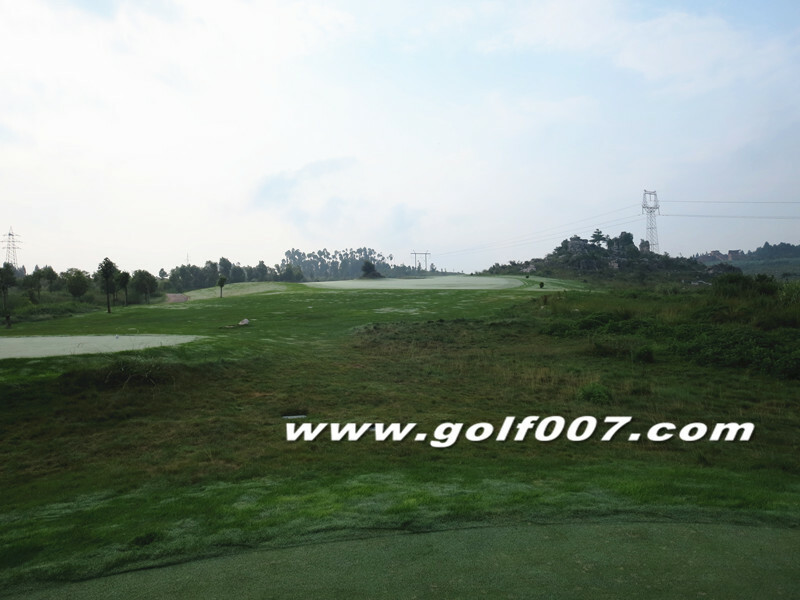 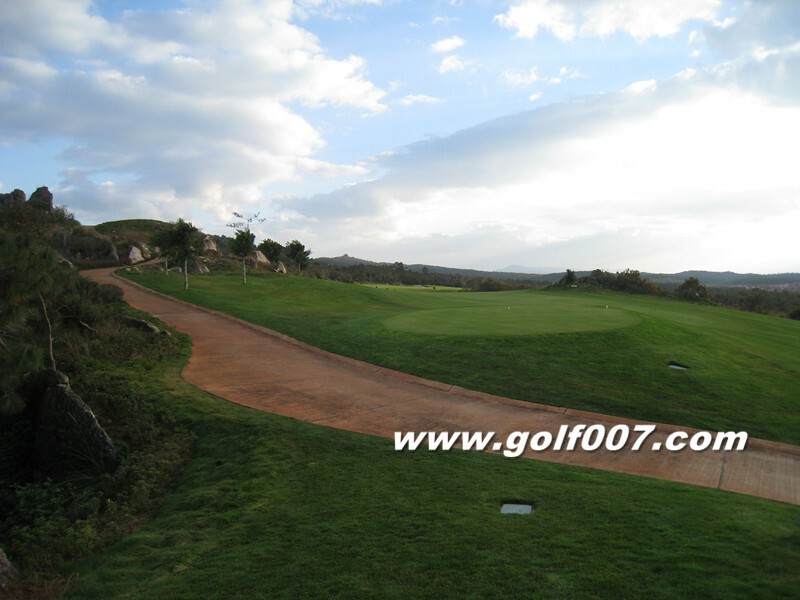 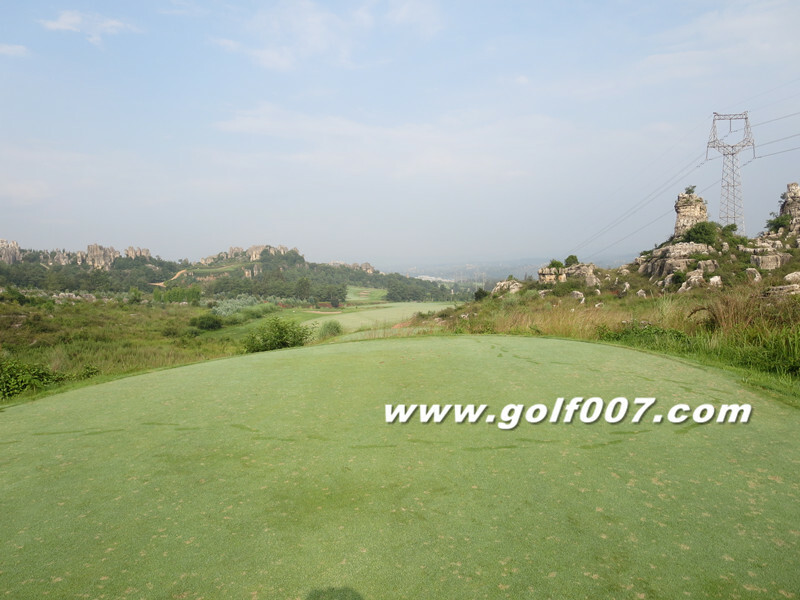 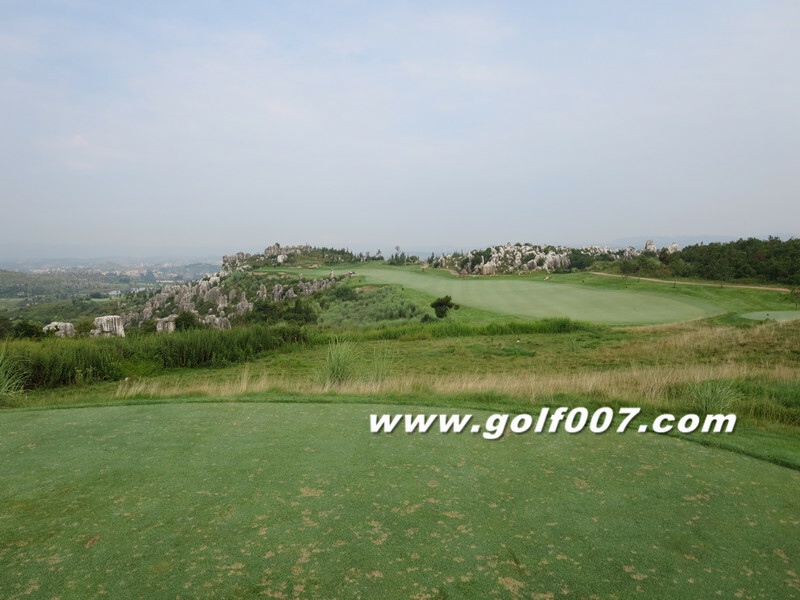 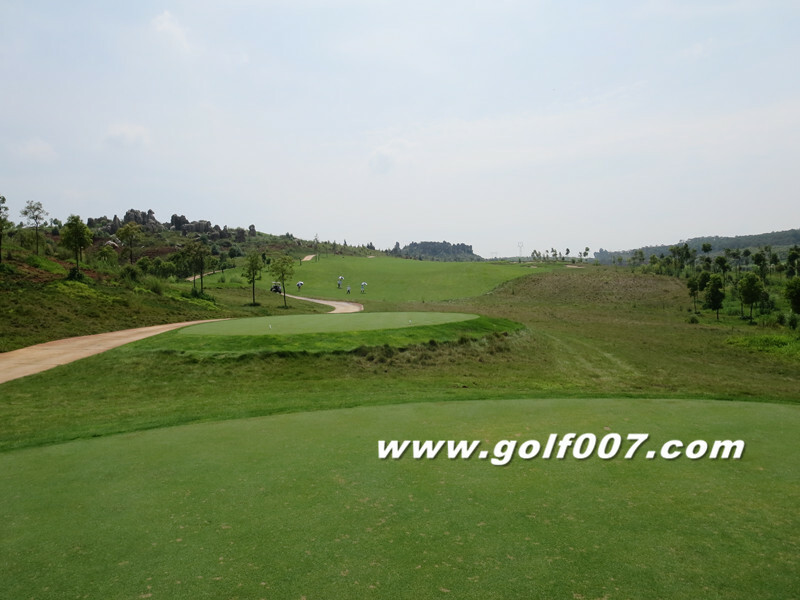 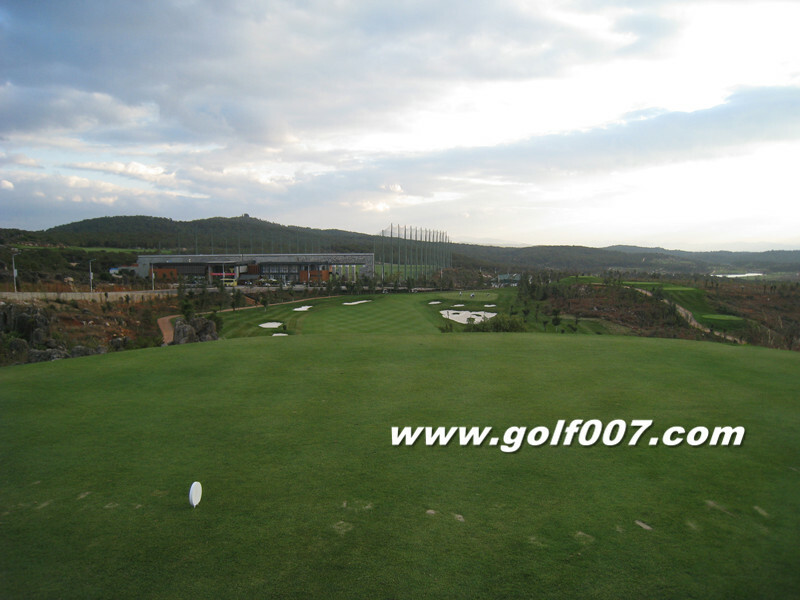 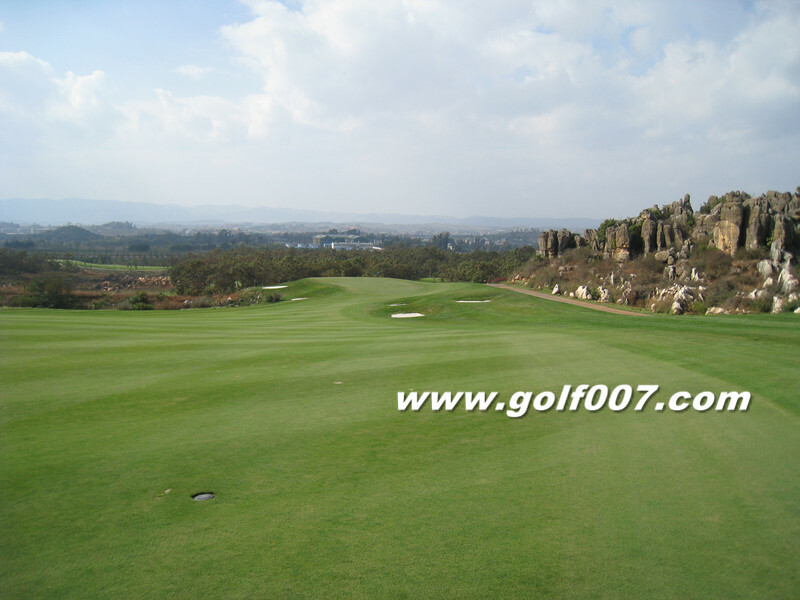 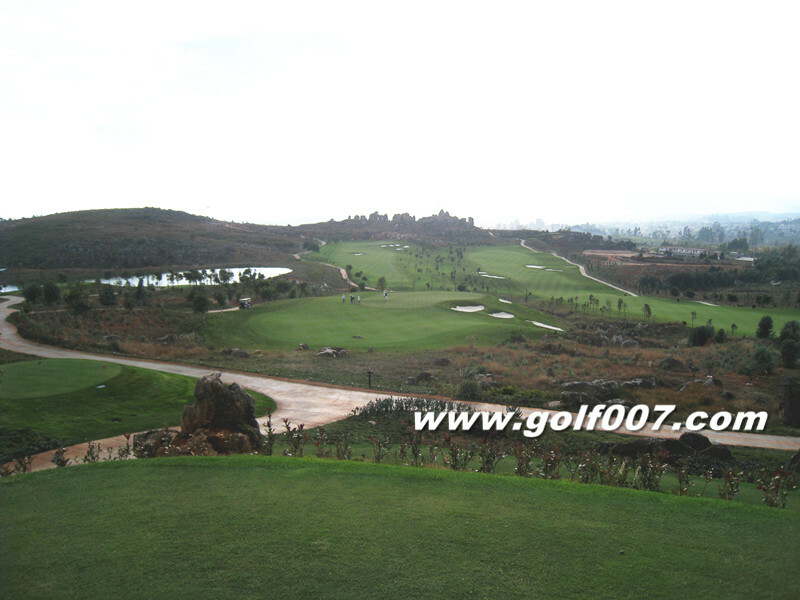 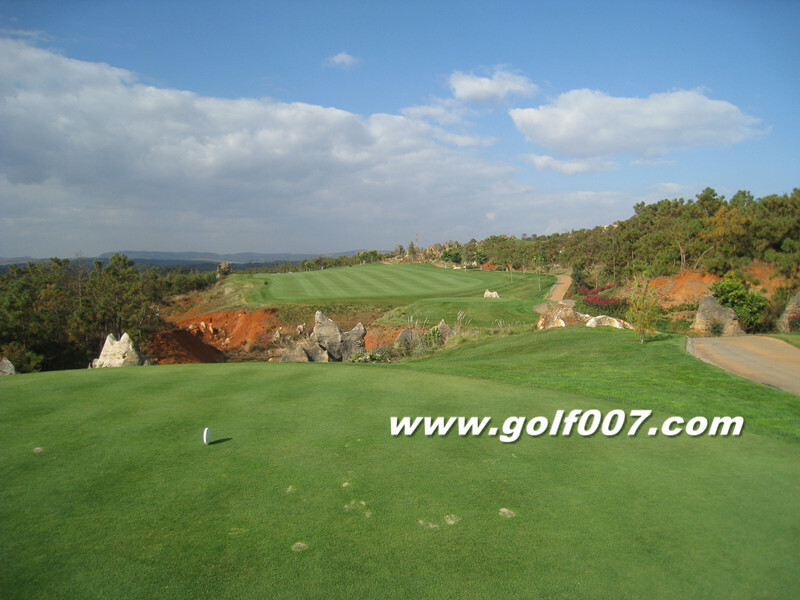 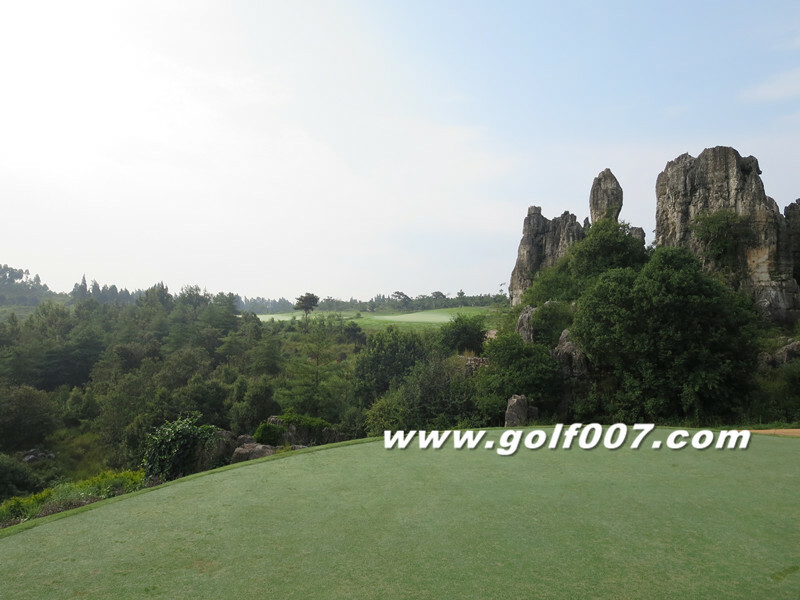 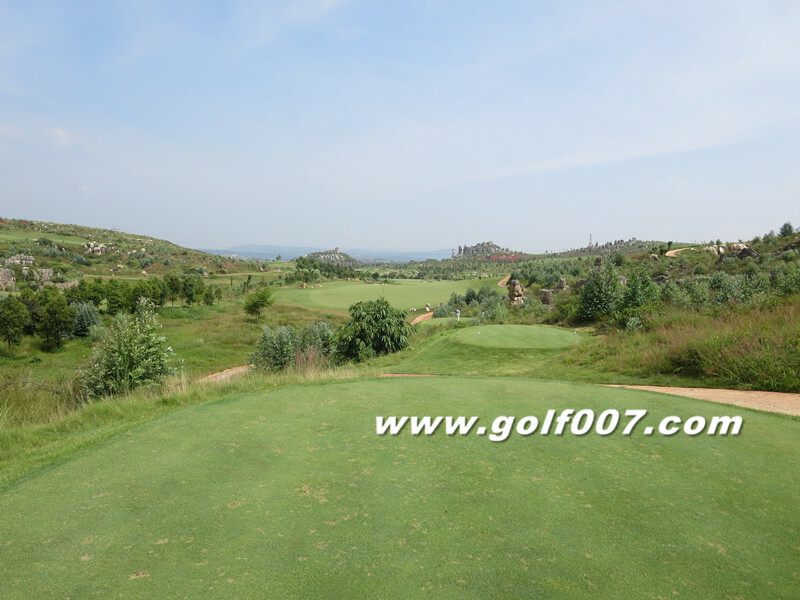 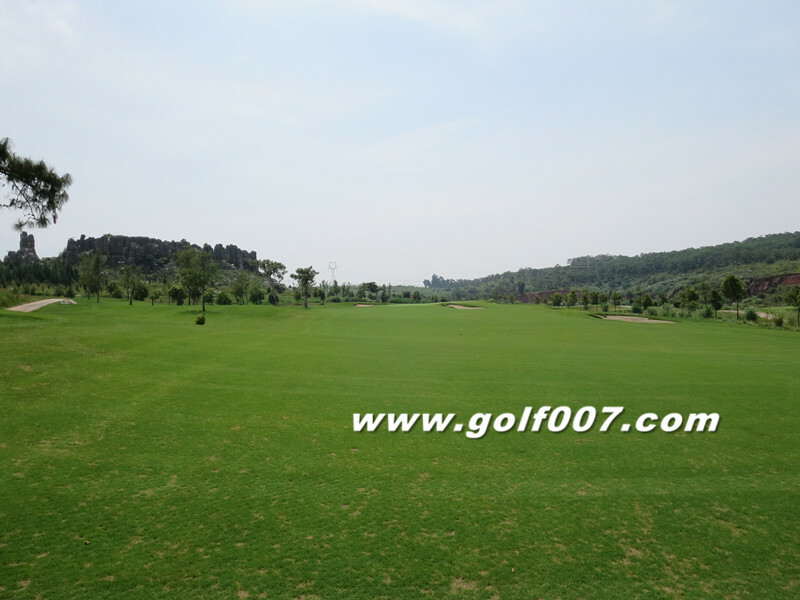 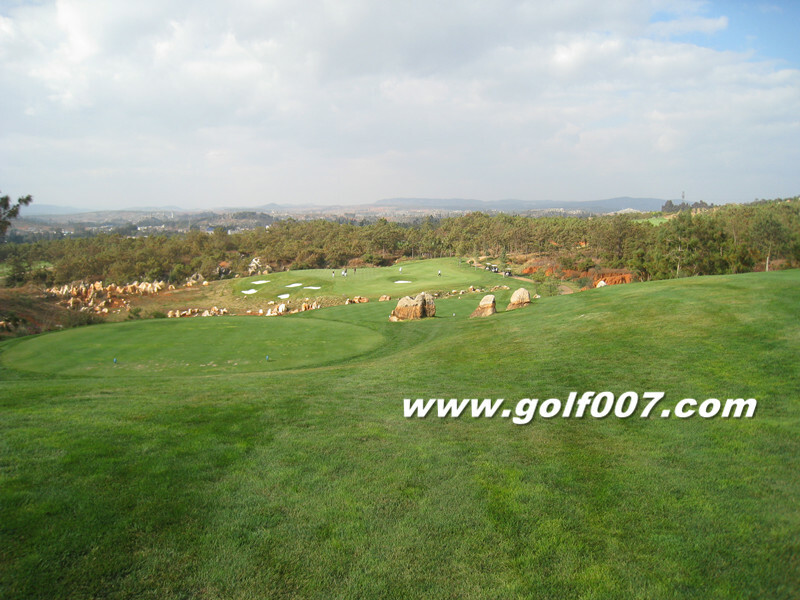 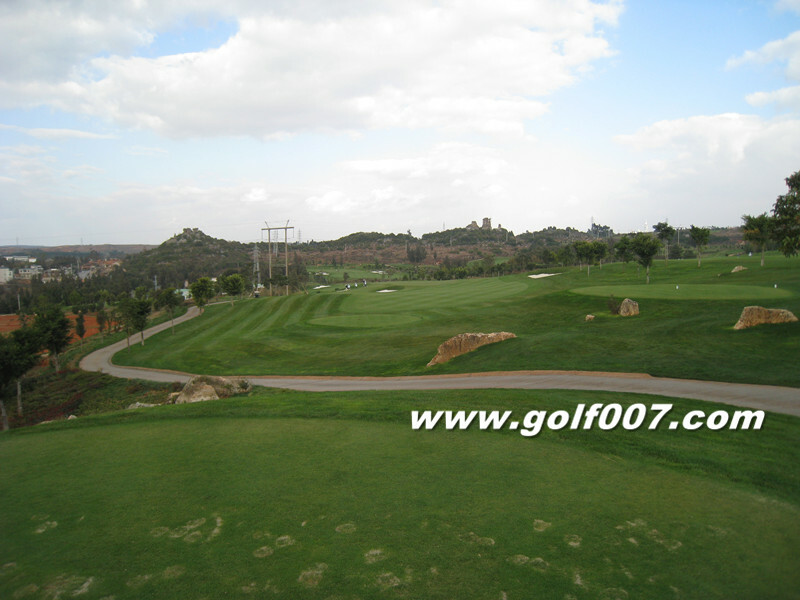 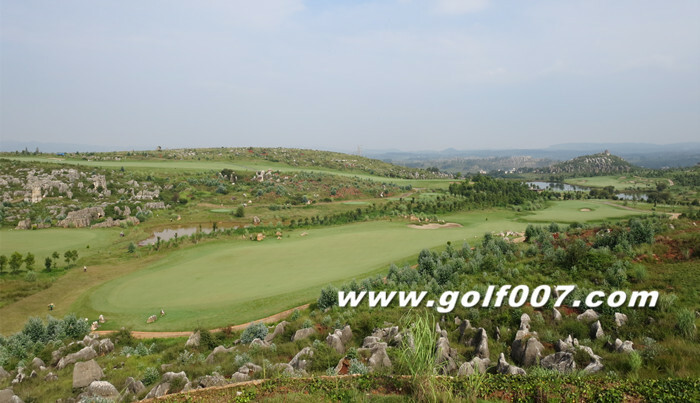 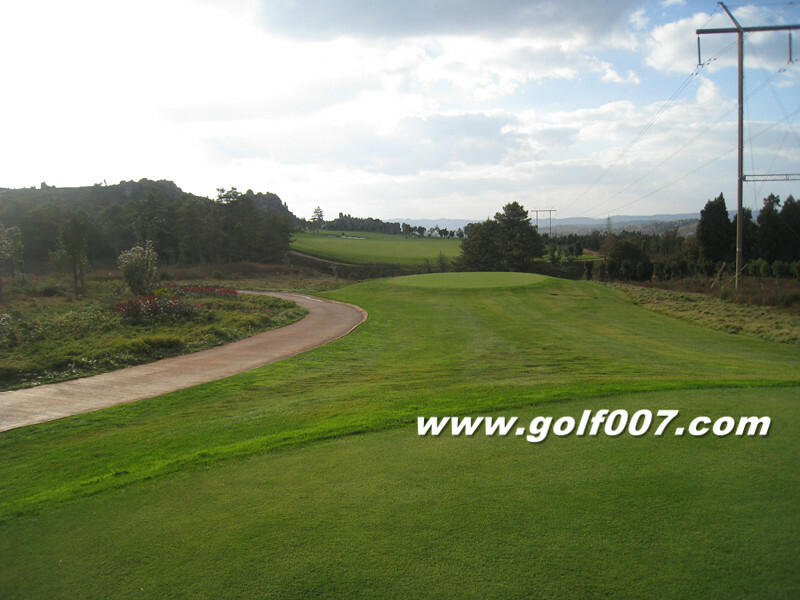 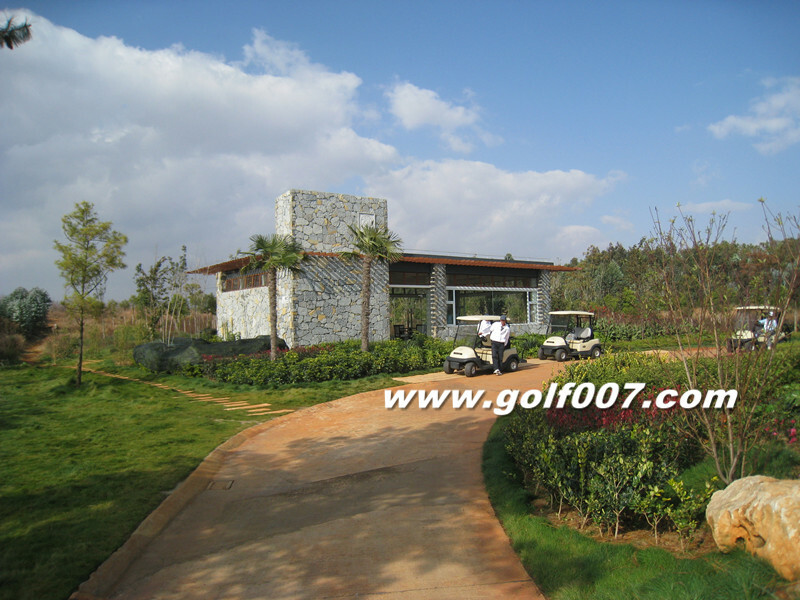 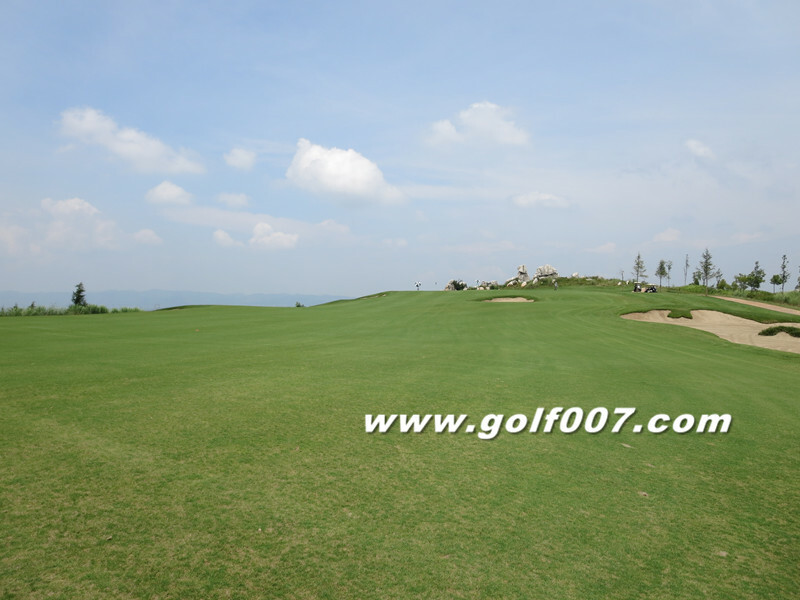 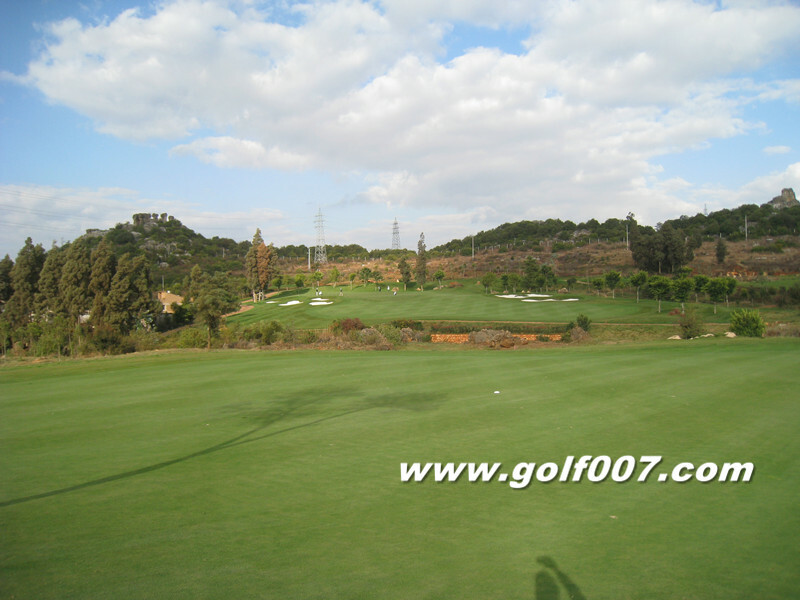 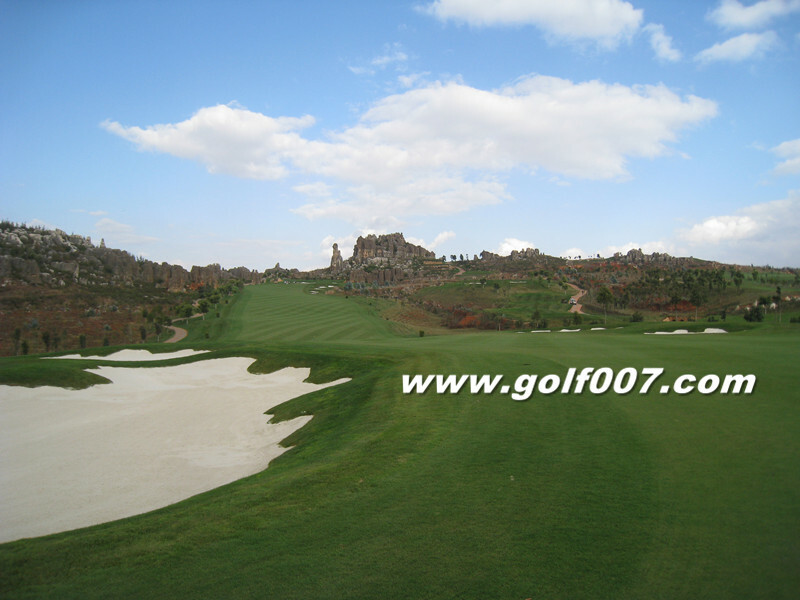 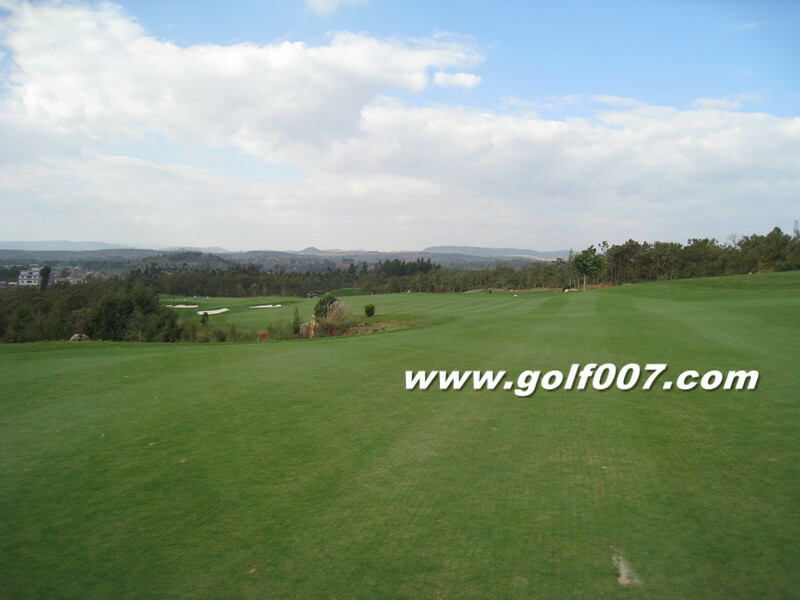 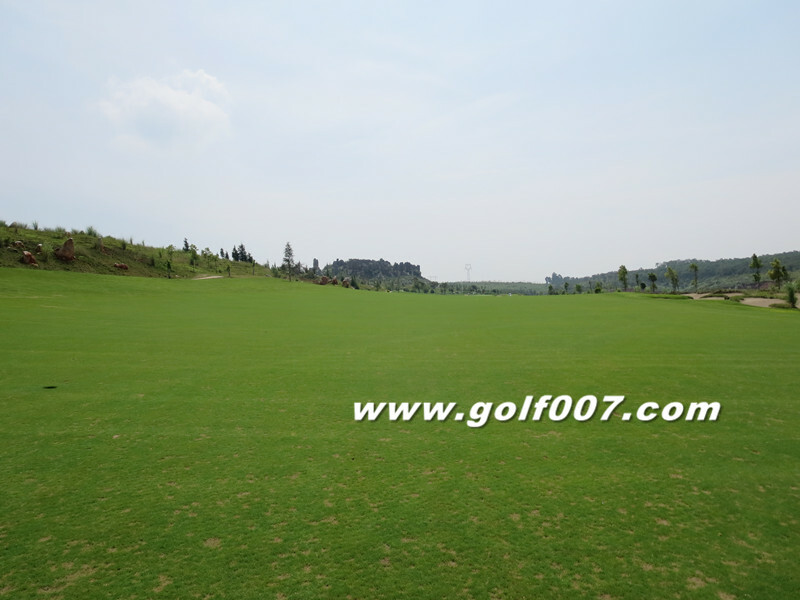 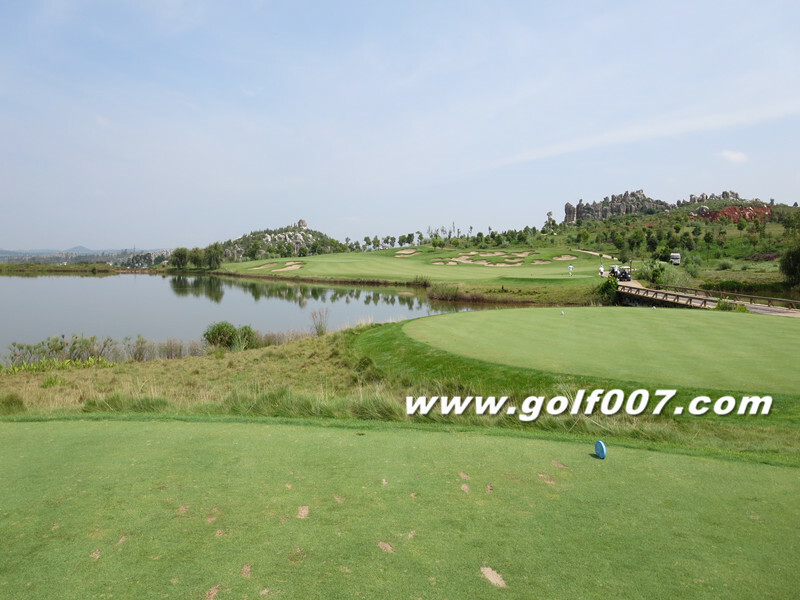 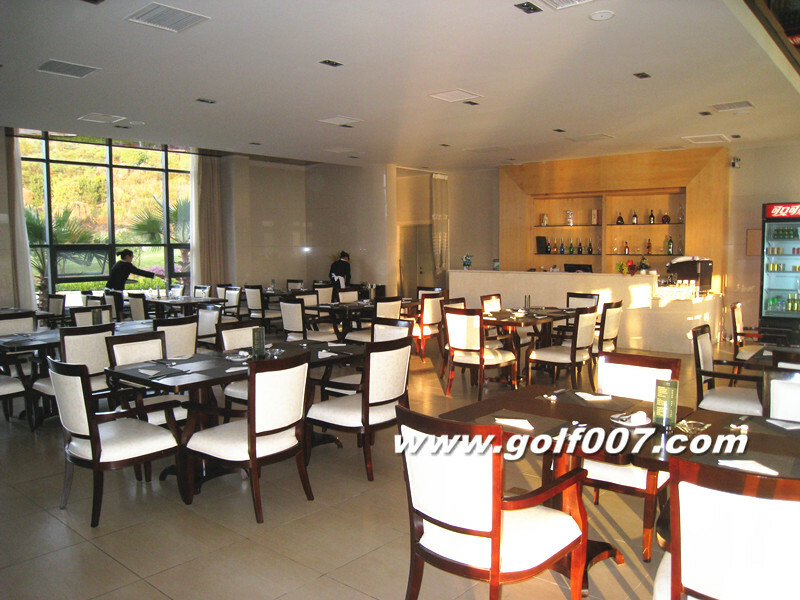 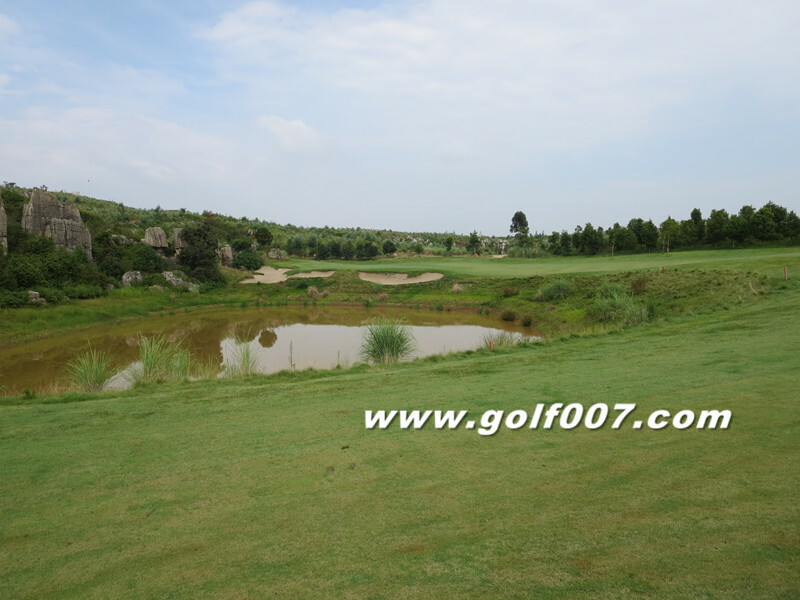 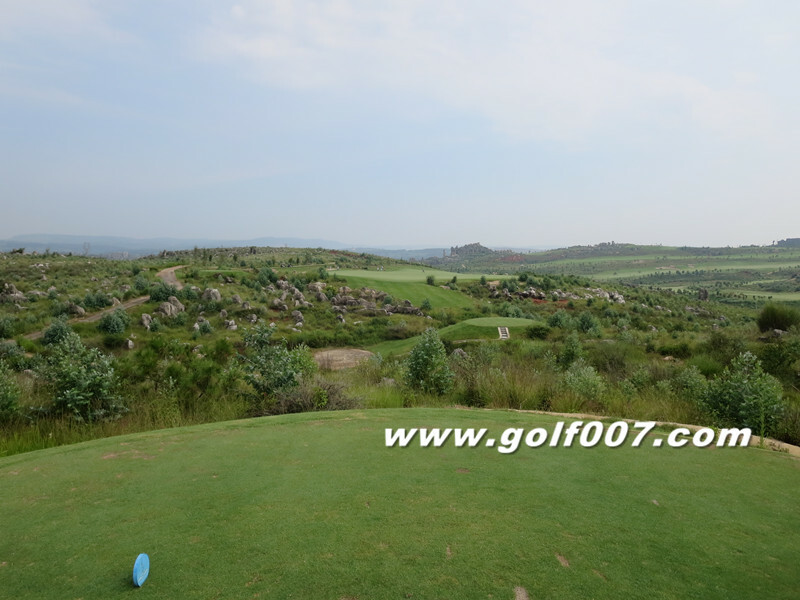 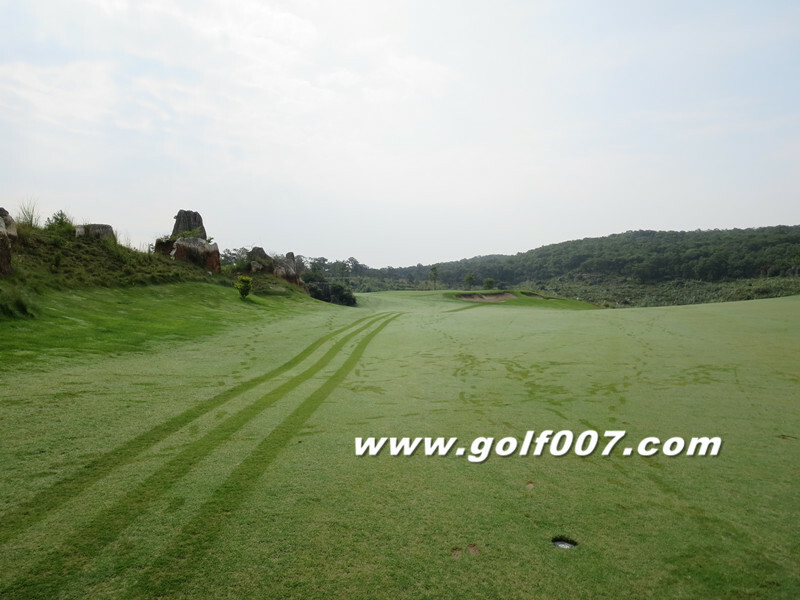 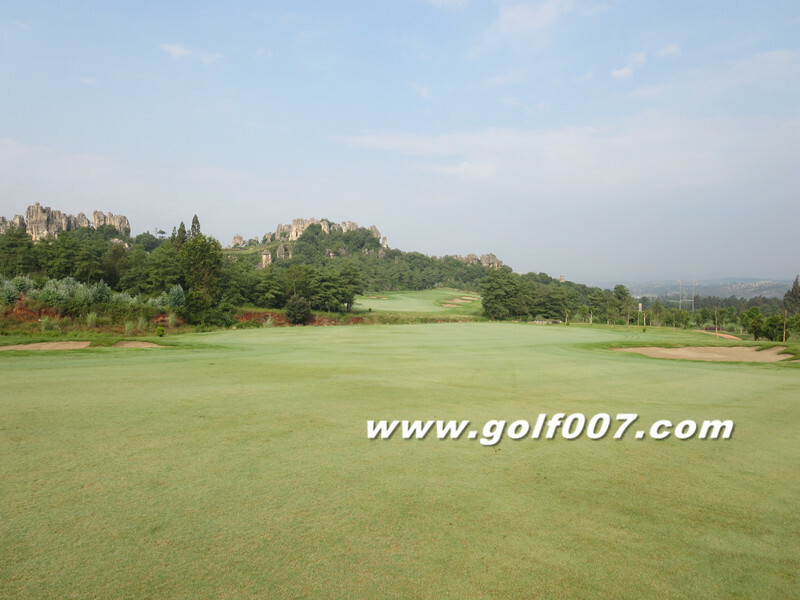 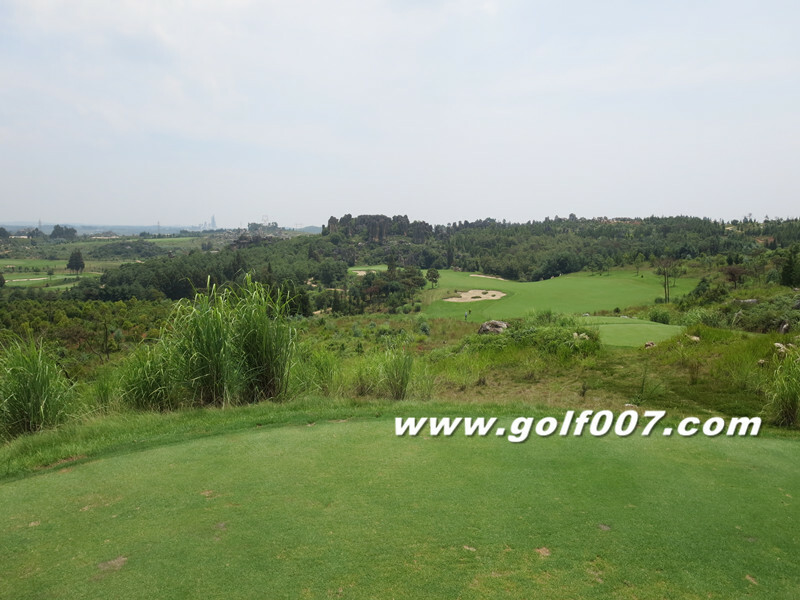 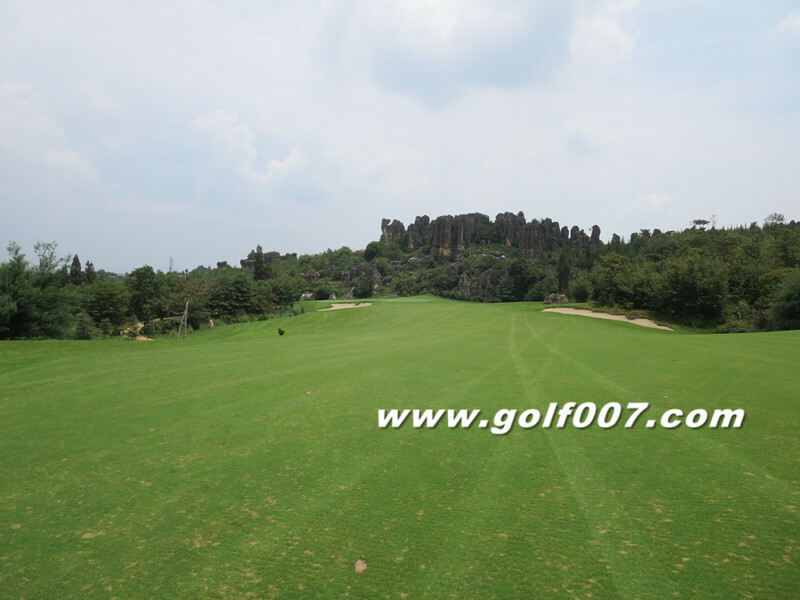 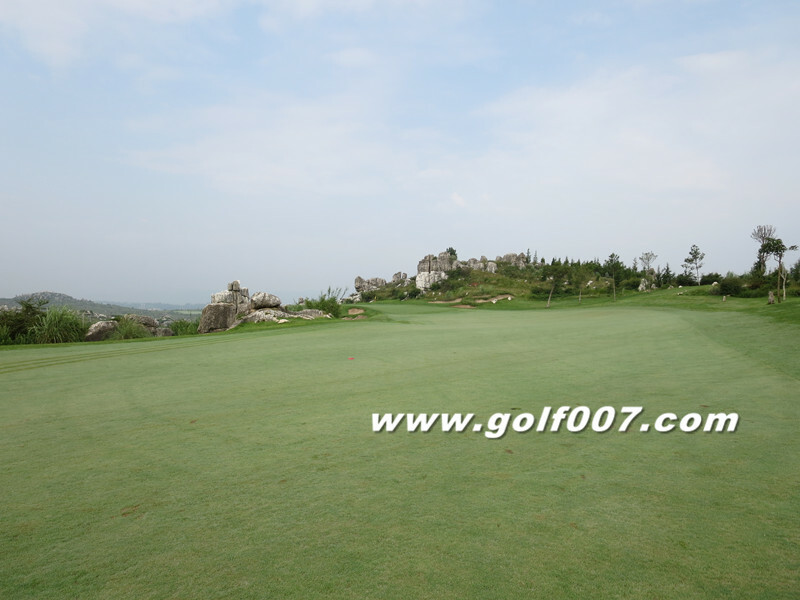 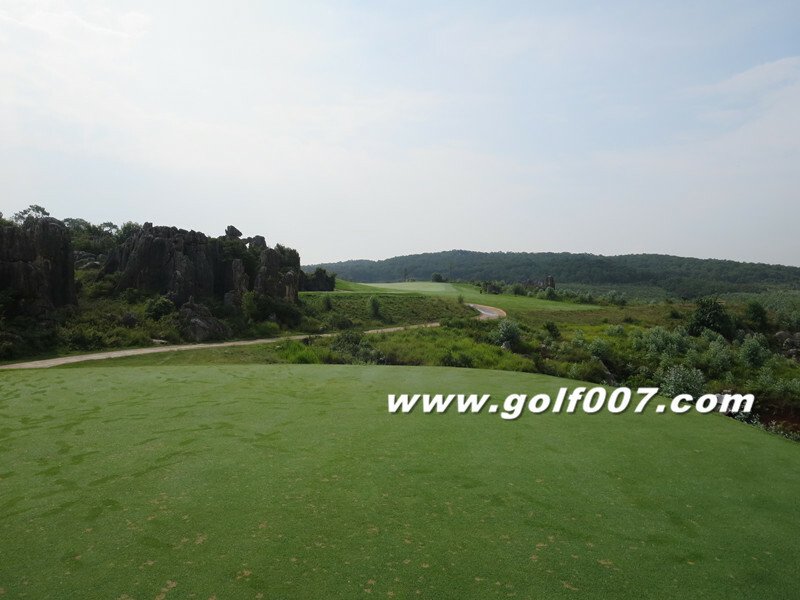 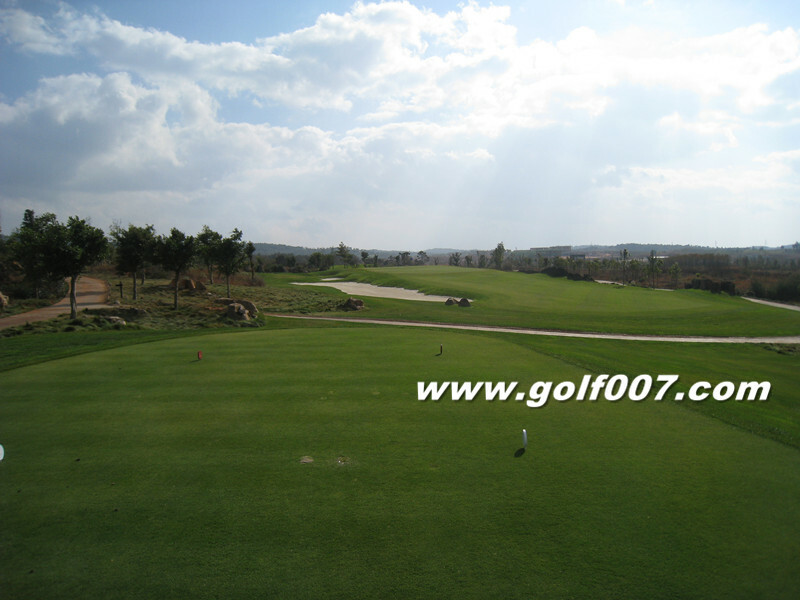 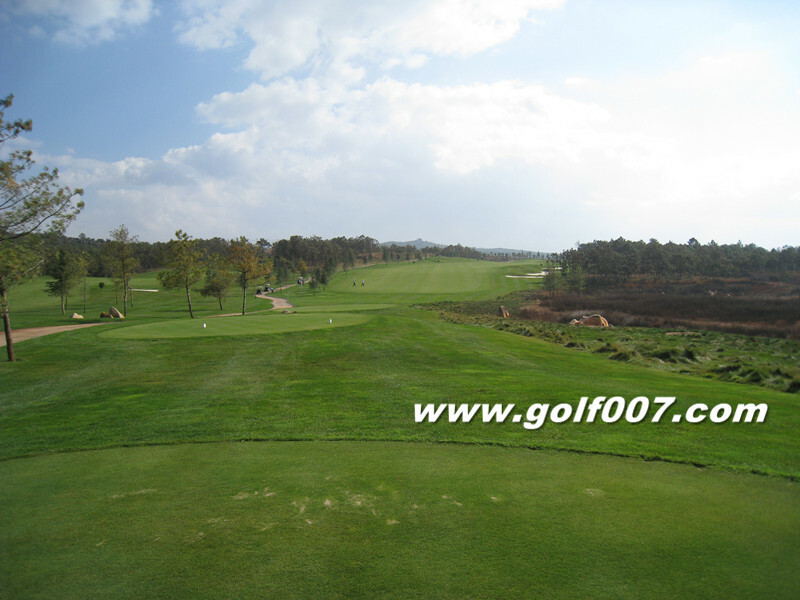 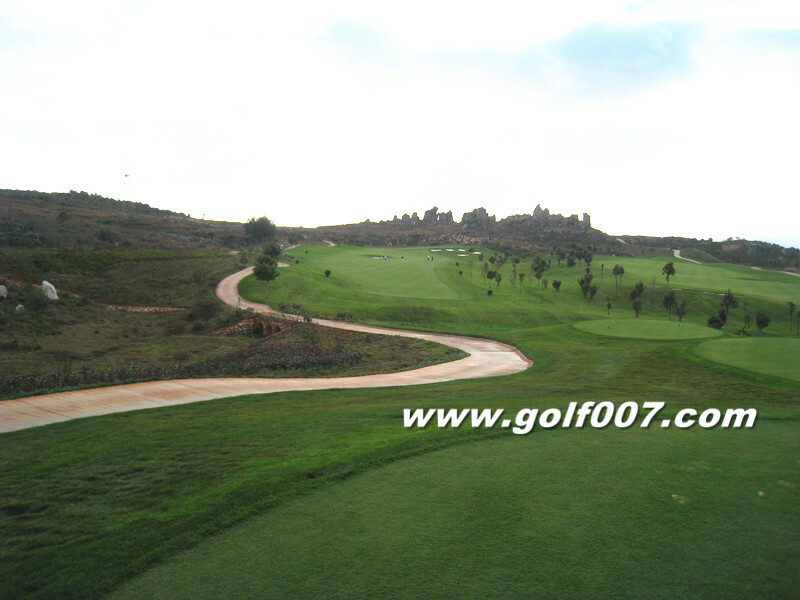 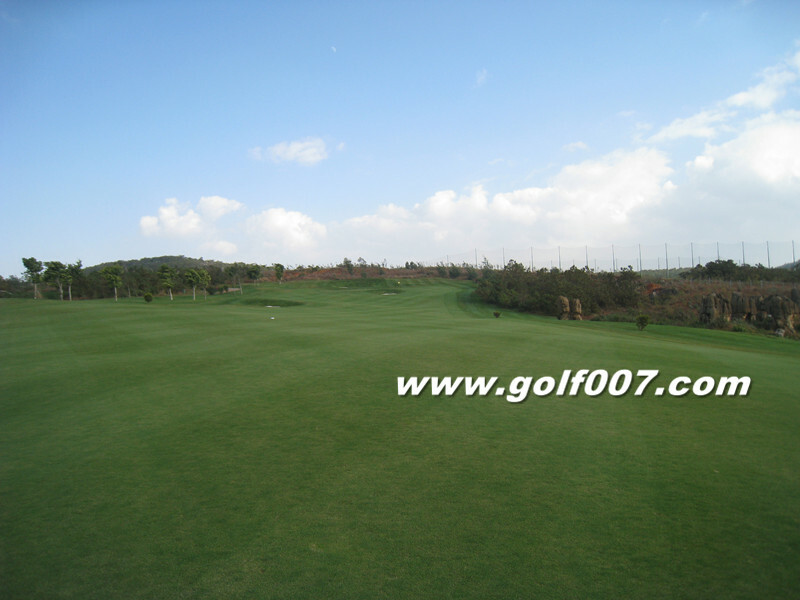 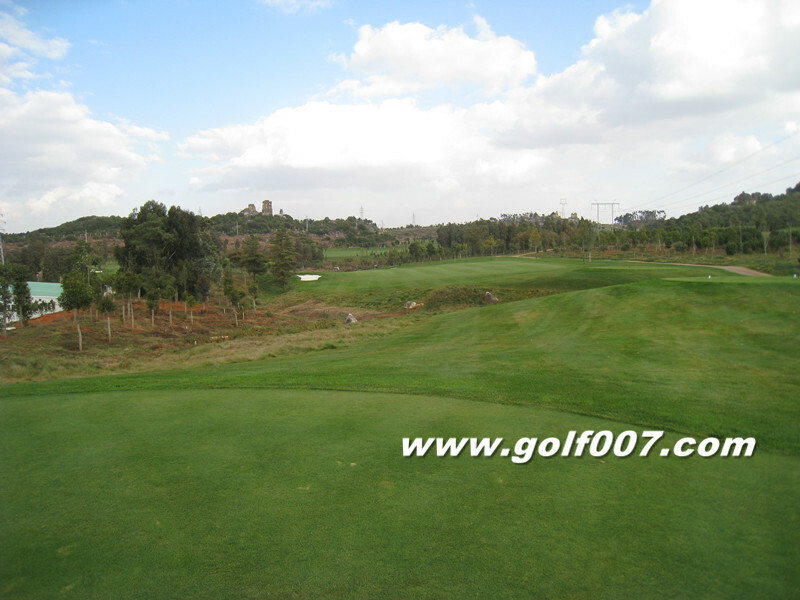 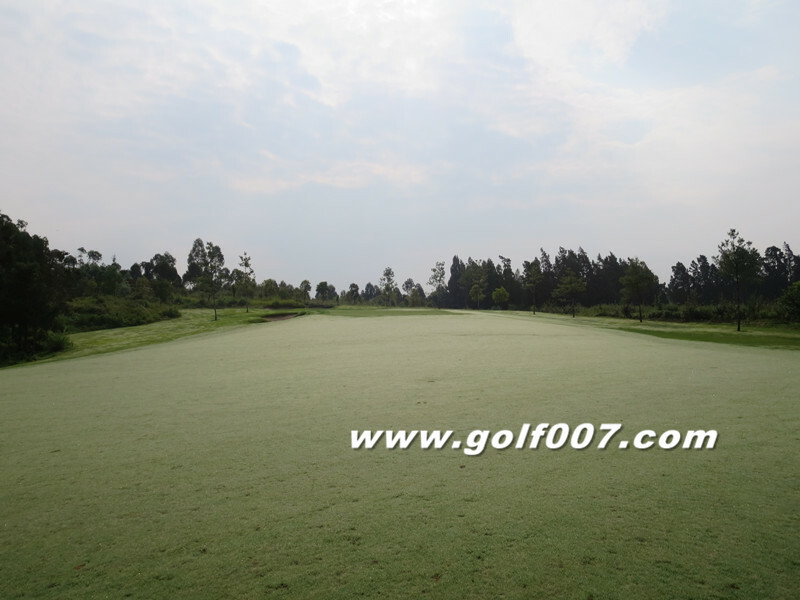 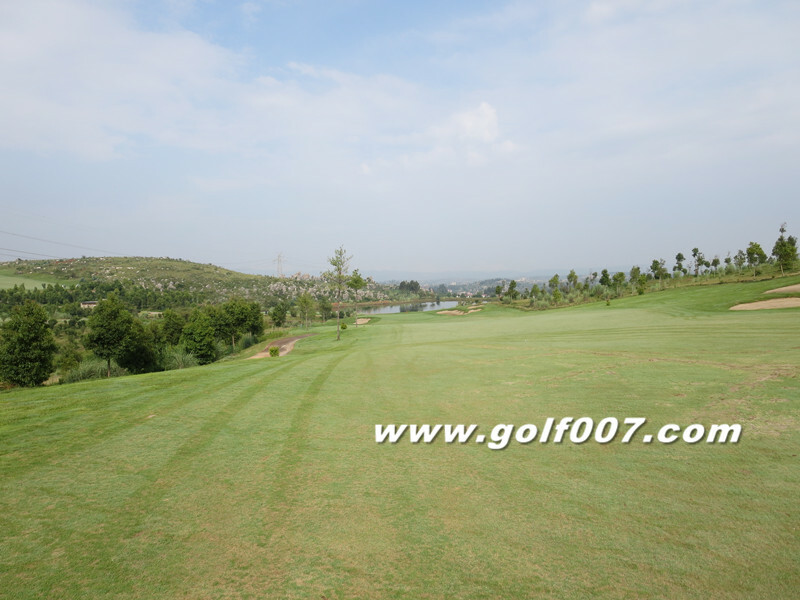 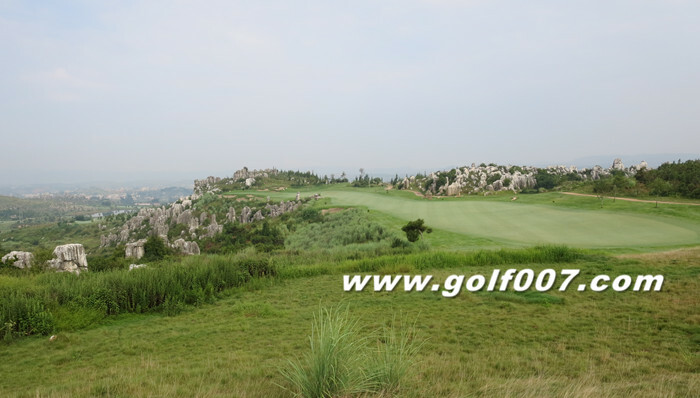 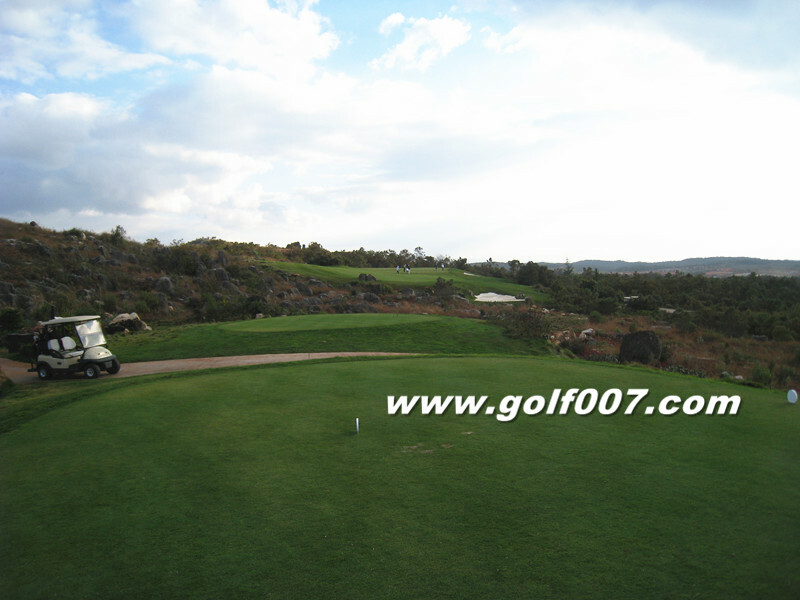 Long upslope Par 5 with marvelous signature Stone Forest scenery. 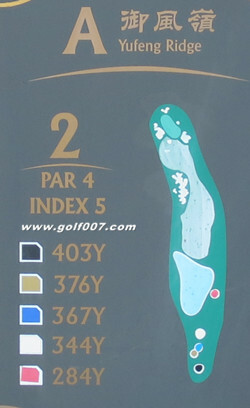 Pretty hole again! 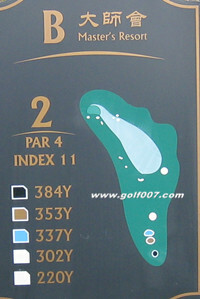 Short Par 4, dogleg right! 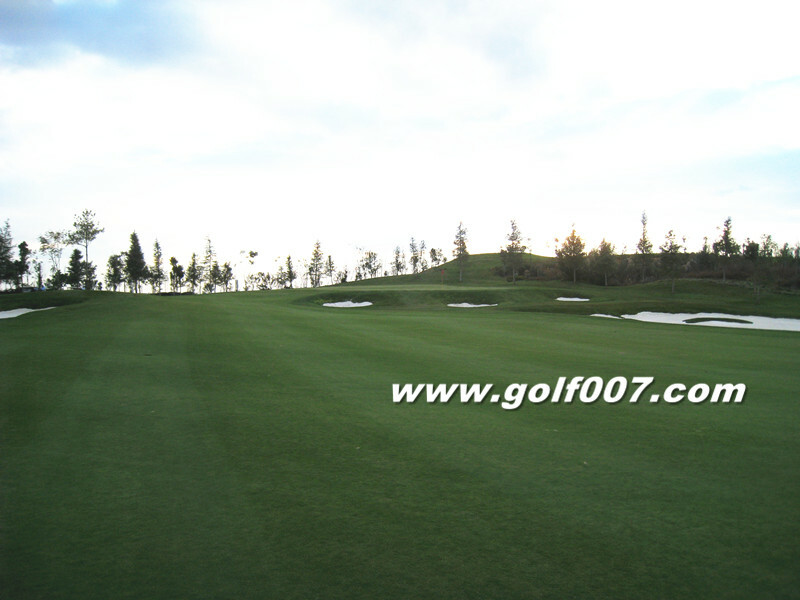 Gently upslope Par 5, dogleg left. 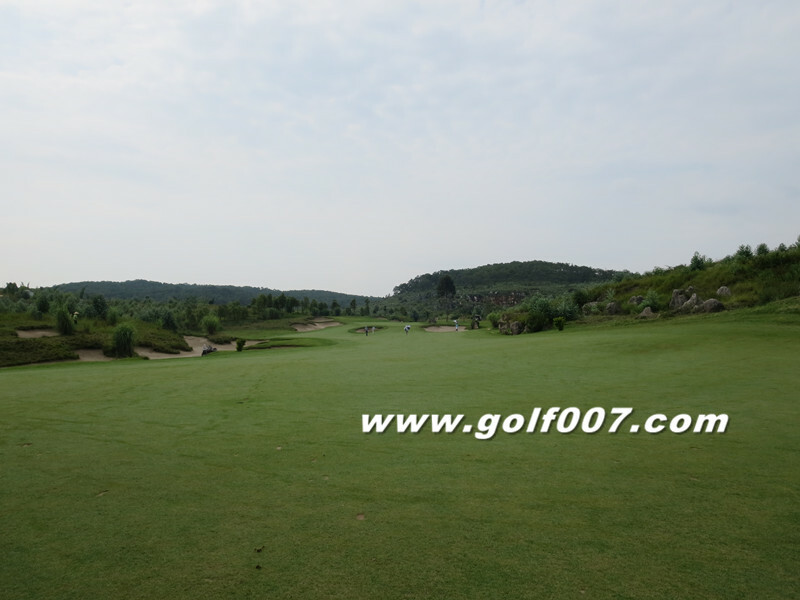 Mid range downslope Par 3 . 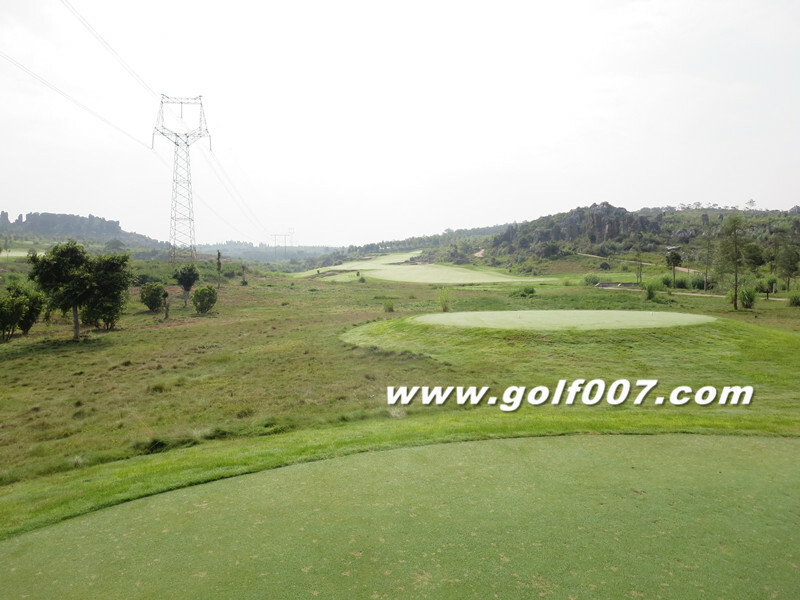 Short Par 4, downslope teeshot and upslope approaching.. 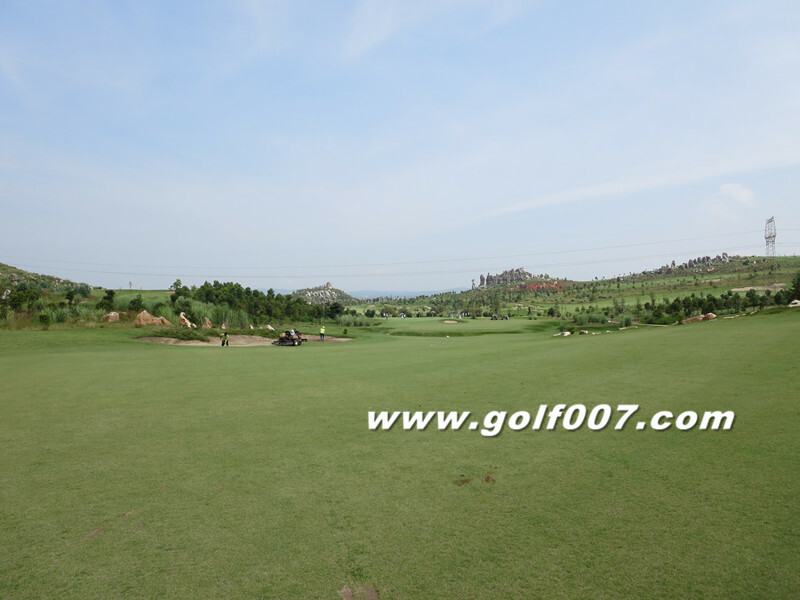 Mid long range Par 3, upslope . 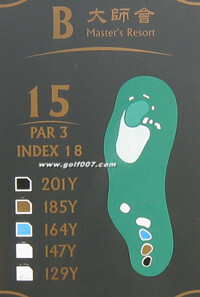 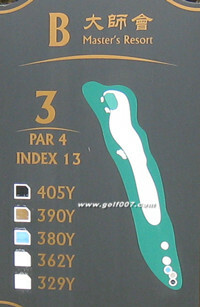 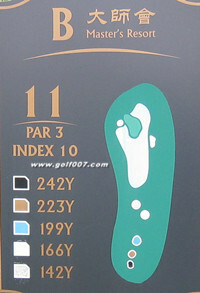 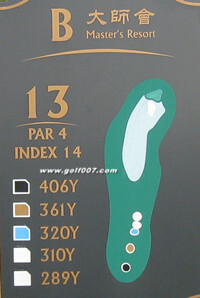 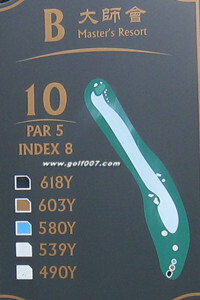 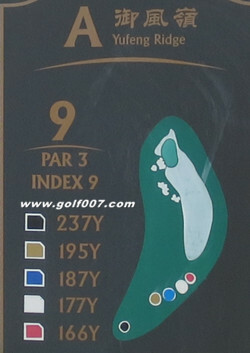 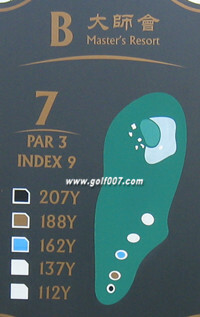 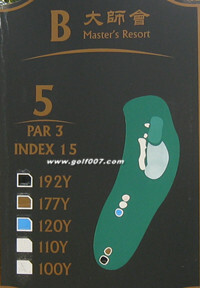 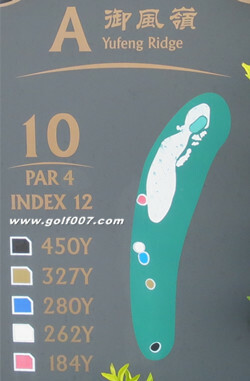 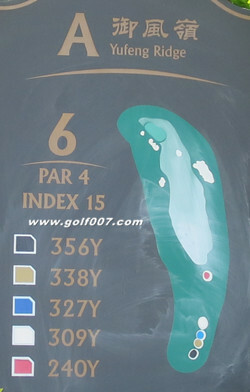 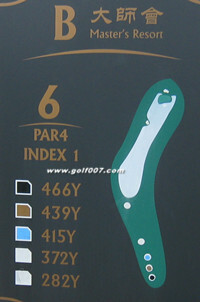 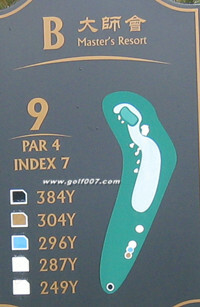 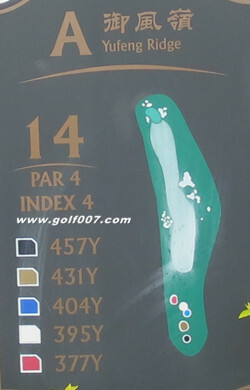 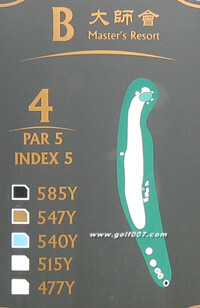 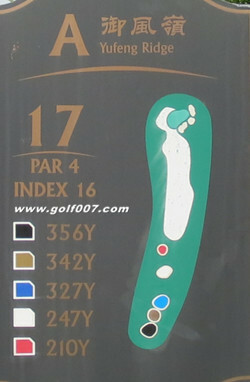 Short Par 5, reachable but need to be precise . 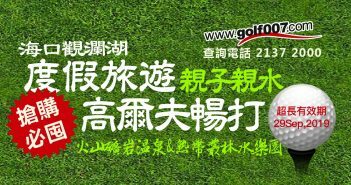 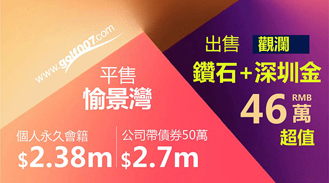 打完之後，覺得B場毋論景色和草坪維護都較為出色，尤其是B9 和 B10兩洞, 標誌性的石林景色, 真是令人讚嘆!